The Maruti Ciaz Facelift is on sale in India at a price of between Rs. 8.19 - 10.97 lakhs (ex-Delhi). 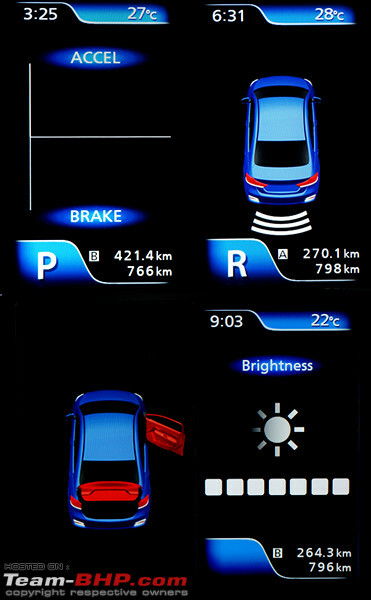 • Equipment such as the automatic LED headlamps, DRLs, 7" touchscreen ICE, rear sunshade, cruise control, telematics system etc. This review has been jointly compiled with ChiragM. Thanks to him for the expert observations! Last edited by GTO : 10th October 2018 at 10:07. Since the Maruti Ciaz has already been reviewed by Team-BHP, this report will only focus on changes made to the 2018 facelift. To read the full official review, click here. Last edited by GTO : 10th October 2018 at 10:06. Even though it has been 4 years since Maruti launched the Ciaz, the car has consistently stayed among the top 3 sedans on sale in the C2 segment. The car's sales remained healthy even after Maruti moved it to its Nexa "premium car" sales channel in April 2017. Over 2,20,000 units of the Ciaz have been sold so far, with the top-end Alpha variant accounting for 41% of sales. 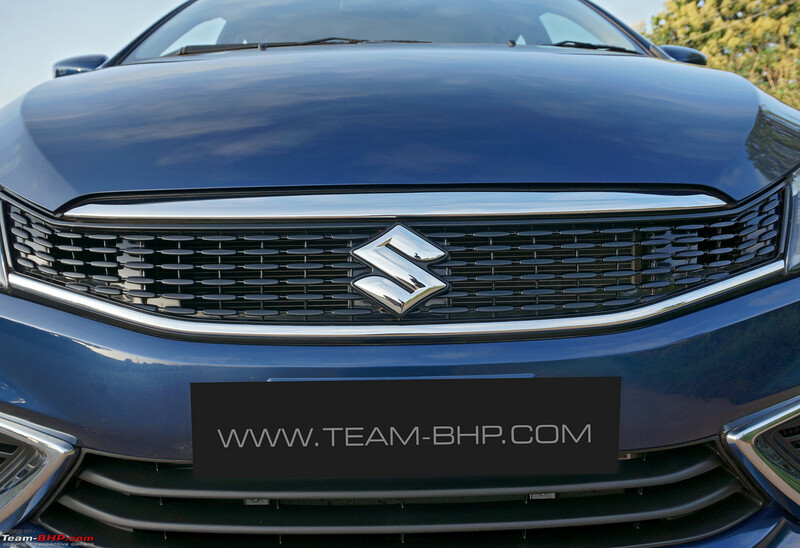 Truth is, the Ciaz is the first Maruti to achieve success in the C2 segment. The Baleno sedan was a miserable flop, while the SX4 lost steam after seeing some initial enthusiasm. 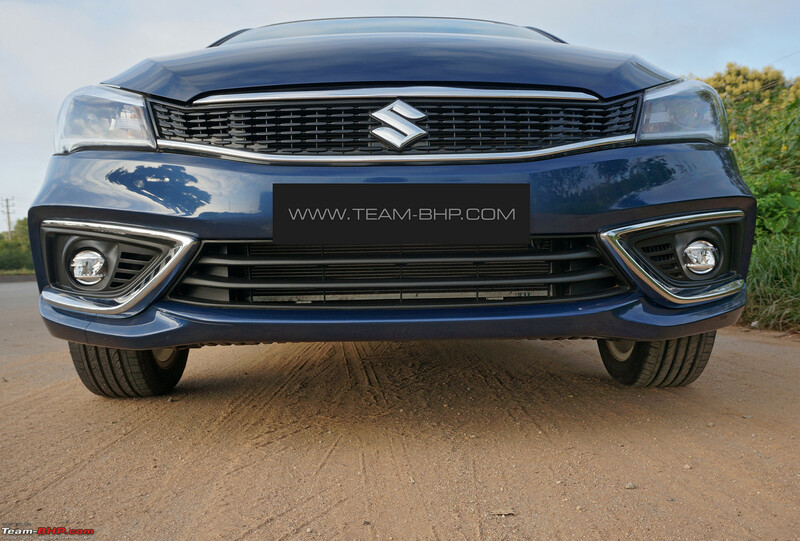 The Ciaz is an all-rounder, keeping mass market tastes in mind (enthusiasts will find its engines to be weak & that hasn't changed with the facelift). 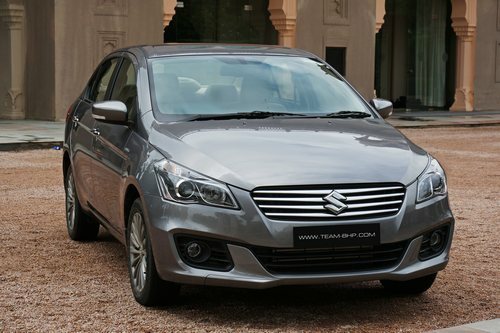 Plus, the Ciaz has always been well-priced too. It offers a lot of square feet for the money. Only the recently-introduced Hyundai Verna 1.4L, the slow-selling Fiat Linea and the Skoda Rapid (after discounts) start at lower prices. 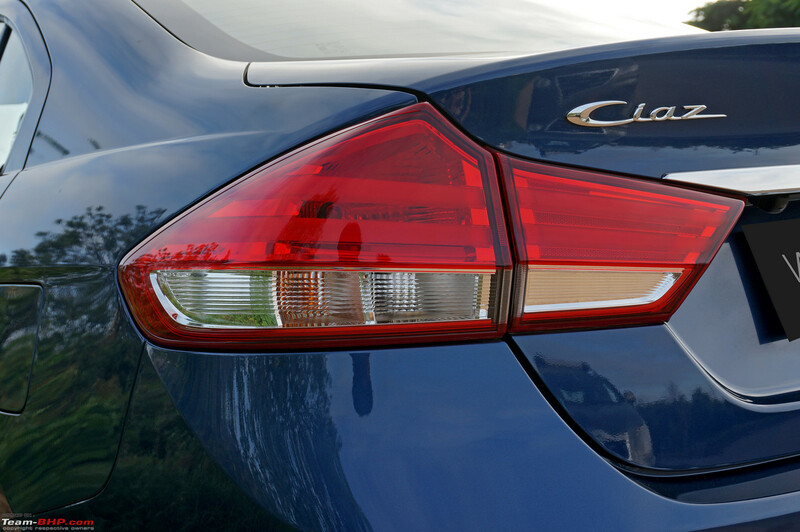 Maruti has now updated the Ciaz to keep its appeal intact. This is perhaps the final major update until the next-gen Ciaz arrives in 2 - 3 years. 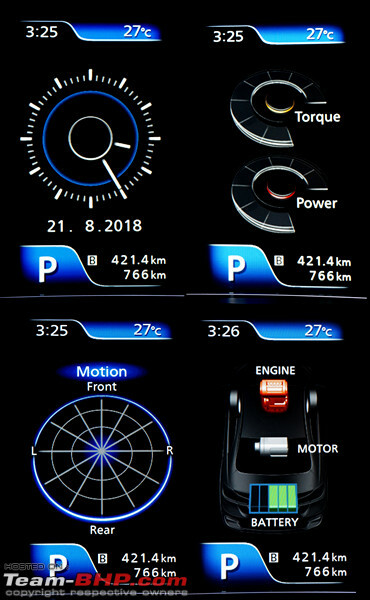 With this facelift, the company has not only given the car cosmetic enhancements and additional features, but a new K15 1.5L petrol engine as well. This facelift also comes with Maruti's SHVS, making it the first petrol Maruti to get it. 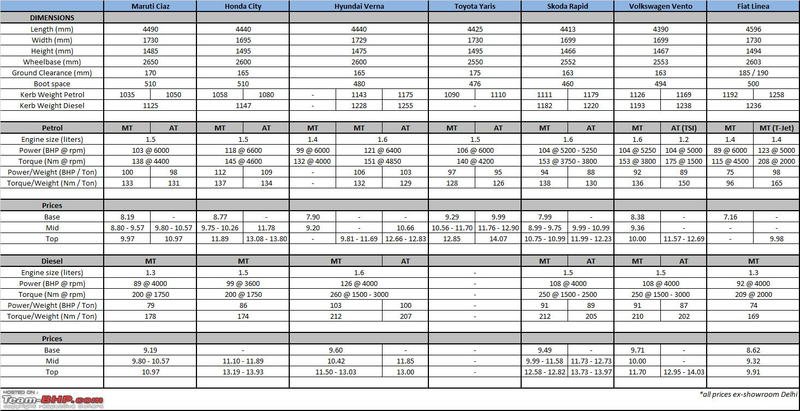 In terms of pricing, the diesel is actually a little cheaper than the outgoing pre-facelift model, while the petrol has gotten more expensive (bigger engine, SHVS hardware, additional battery). This might be a way to give the diesel a subtle sales bump; this thread illustrates how the petrol accounts for almost 3/4th of all Ciaz sales. 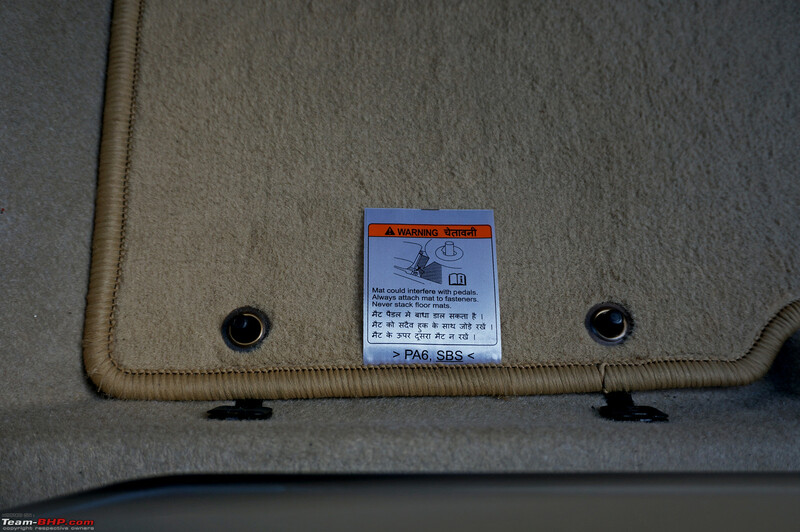 Safety features such as dual airbags, ABS+EBD, seatbelt pre-tensioners with load limiters, ISOFIX child seat anchors and reverse parking sensors are standard across the range, while Maruti claims that the Ciaz complies with pedestrian protection, full frontal impact, frontal offset impact and side impact norms (we'll hold our kudos until the NCAP tests the India-spec car). The Ciaz is now equipped with audible speed alerts (VERY annoying) and seatbelt reminders for the driver & front passenger. 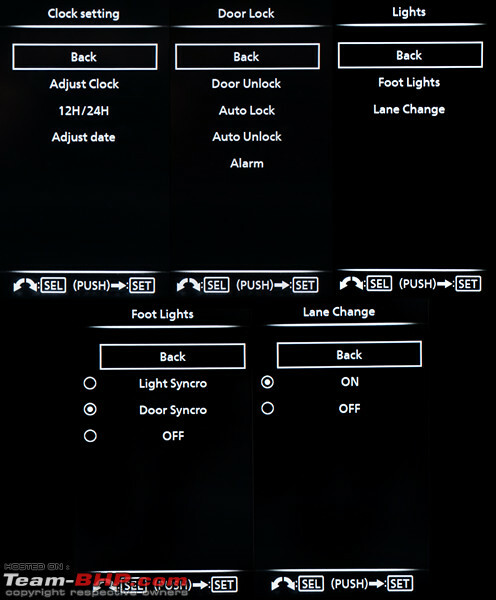 Cruise control has been added, and the automatic gets ESP with hill-hold. Why no ESP for the MT owners, Maruti? Are their lives any less precious? 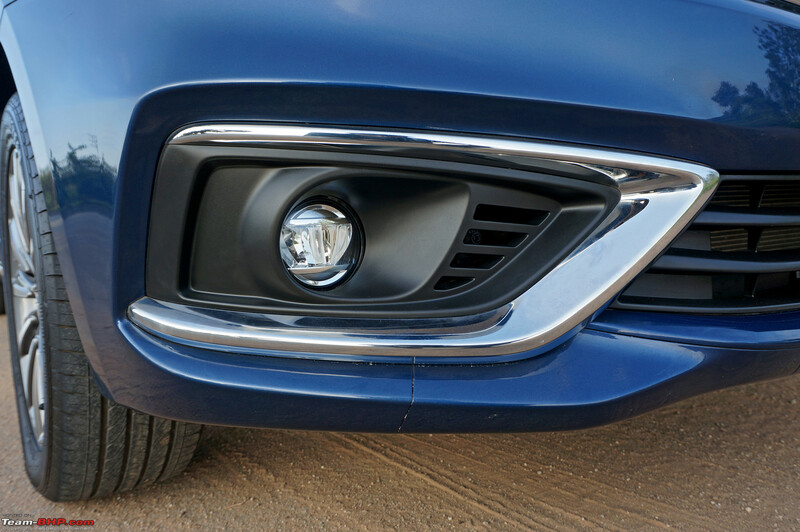 Other features include automatic LED projector headlamps with auto levelling, LED daytime-running lights, LED foglamps and part LED tail-lamps. We feel Maruti has missed an opportunity here. The Ciaz' VFM pricing definitely leaves room above for a true top-end variant with 6 airbags, sunroof, auto wipers & more. This could have been placed above the Alpha. Would have been a win-win as customers who can afford it get a better-spec'ed car while Maruti rakes in the moolah (profits are highest on top variants). We're frankly surprised that the bright brains at Maruti didn't think of this. 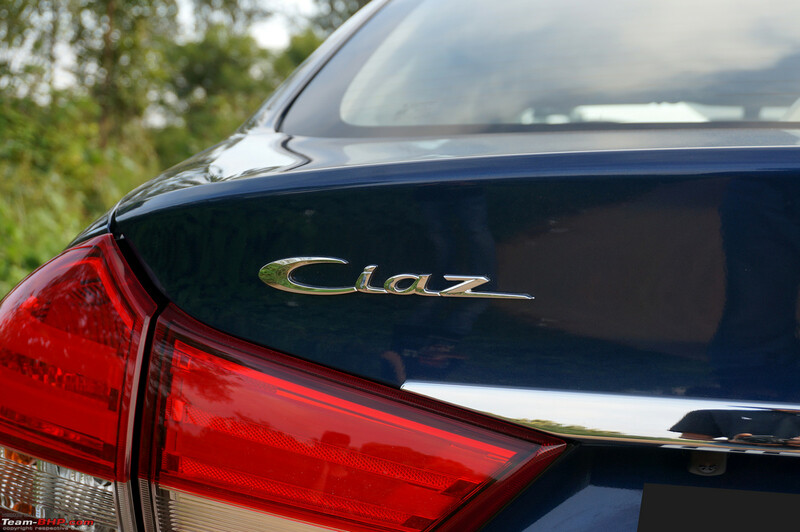 The Ciaz Facelift is available in seven body colours. 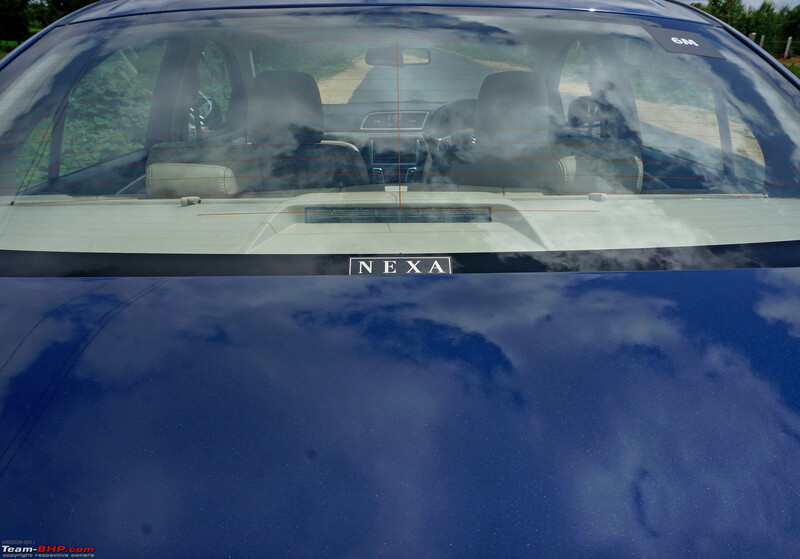 Apart from the Nexa Blue colour of our test car, it is sold in Pearl Midnight Black, Pearl Sangria Red, Pearl Metallic Dignity Brown, Pearl Snow White, Metallic Magma Gray and Metallic Premium Silver. The last two colours are new additions to the colour palette (BHPian Ashish2135 shared a pic of the new silver here). 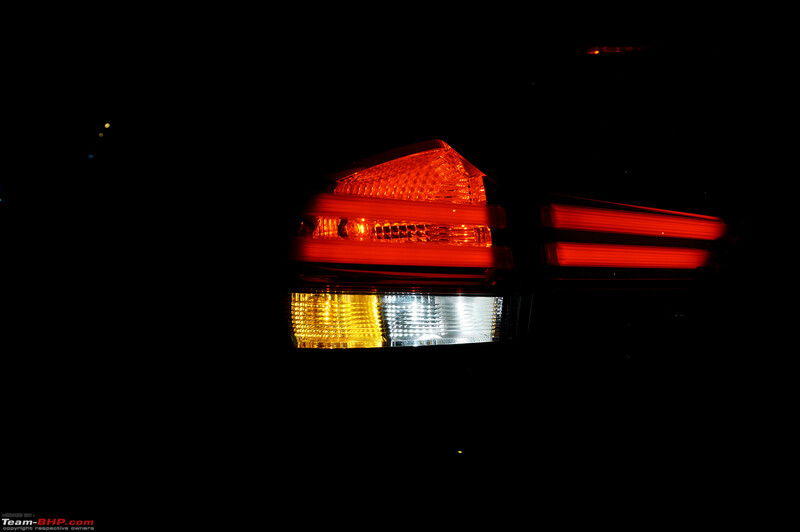 With all the lights in action. 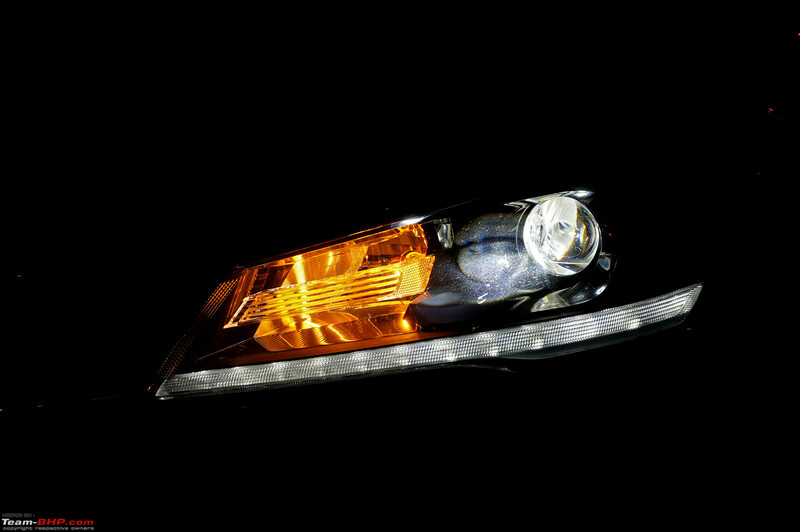 Turn-indicators are now located on the inner portion of the headlamp cluster. 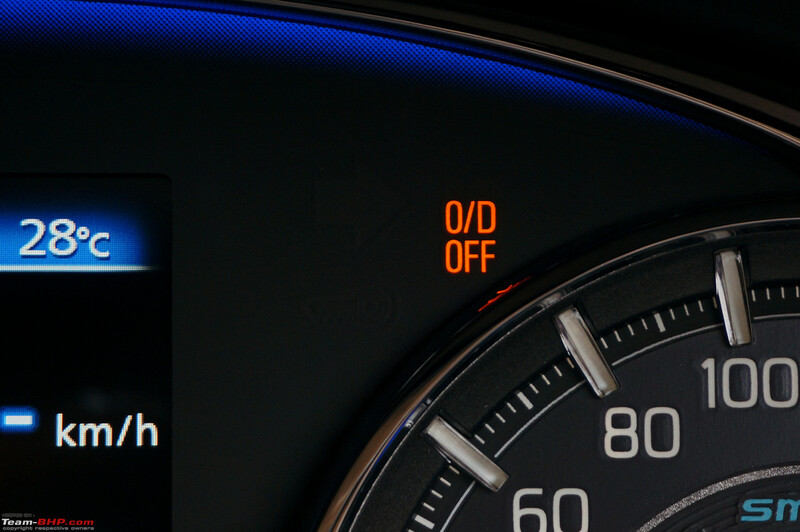 DRLs are on all the time; switching on the pilot lamps makes them dim a bit. The headlamps don't get the 'follow me home' and 'lead me to vehicle' features though. 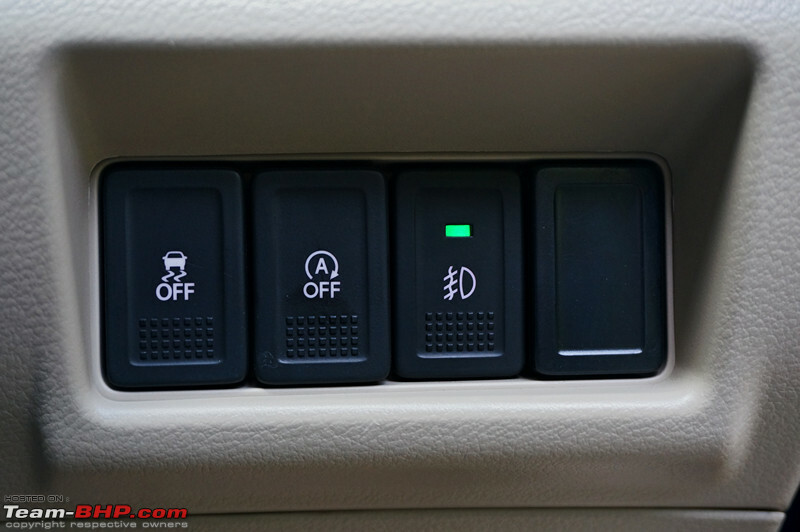 These should have been provided, considering the cheaper Dzire gets them!! With high beam engaged, the throw is simply fantastic! Last edited by GTO : 10th October 2018 at 10:17. 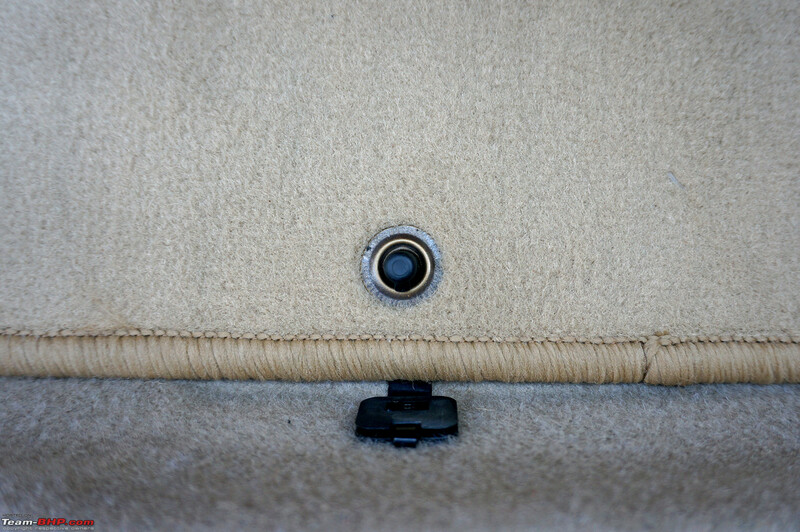 Passenger's floor mat gets a single hook to lock it in place. Nice! Last edited by GTO : 10th October 2018 at 10:04. 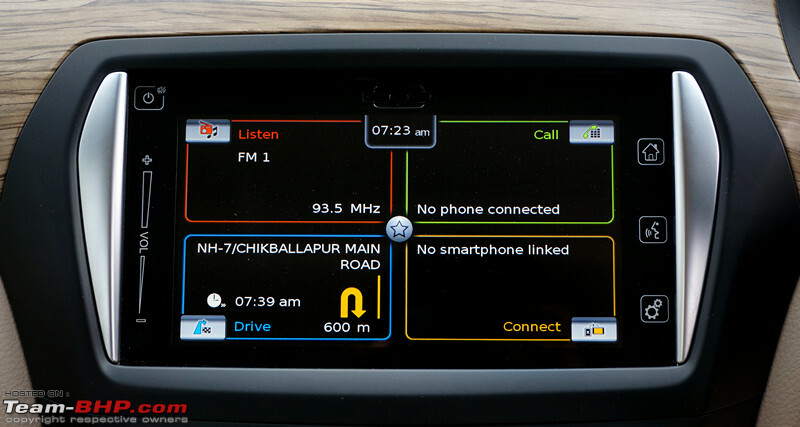 The Alpha (top) variant of the Maruti Ciaz has an updated SmartPlay touchscreen infotainment system, which offers smartphone connectivity with Android Auto, Apple CarPlay and Mirror Link. It's changed a lot since we last reviewed it, so am listing some key points below. 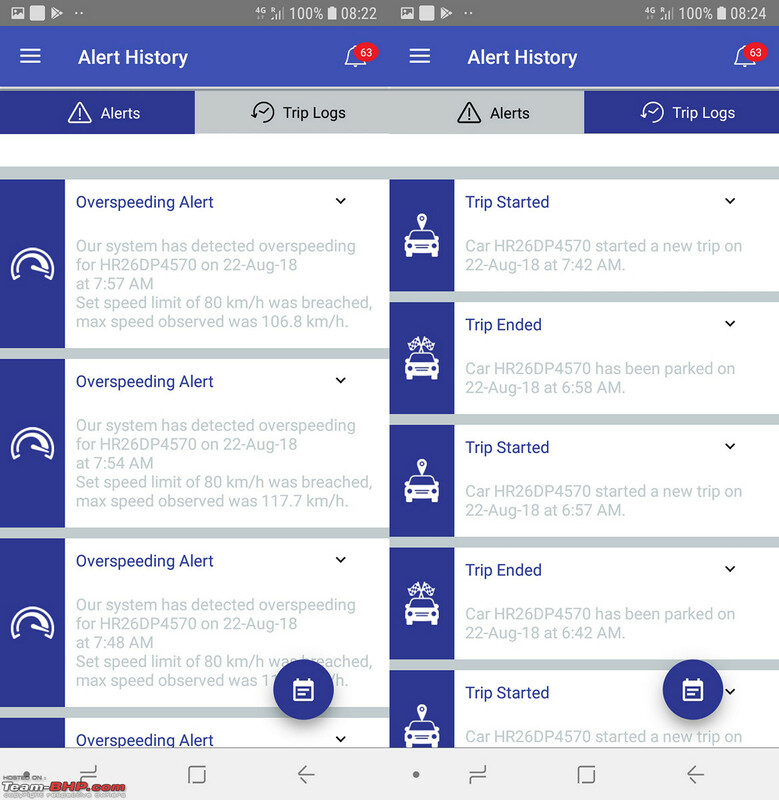 Credit to Maruti for continually improving the system. When we originally reviewed the Ciaz years ago, it was loaded with bugs. 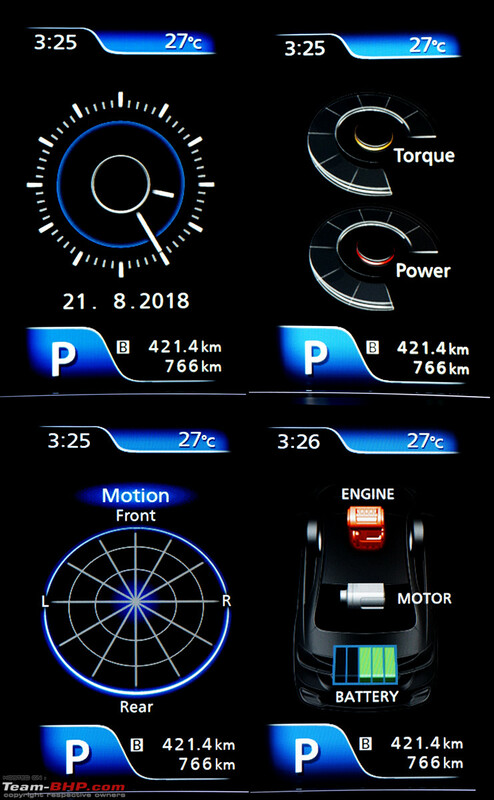 Today, this head-unit is among the best out there. 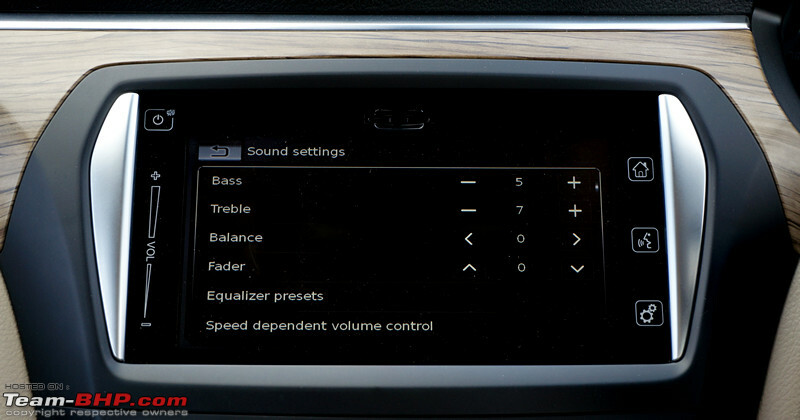 Music is played through 6 speakers (including 2 tweeters) - speaker quality isn't as impressive as the HU. Sound quality is average. Connectivity is through Bluetooth, USB and Aux. 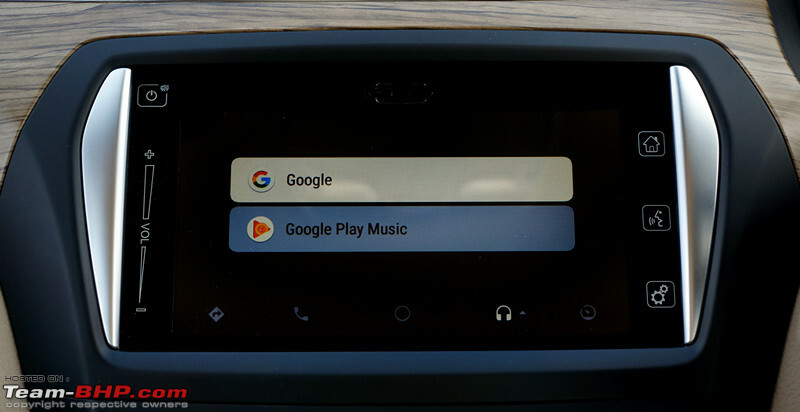 A CD player is missing, but then, who uses CDs today. 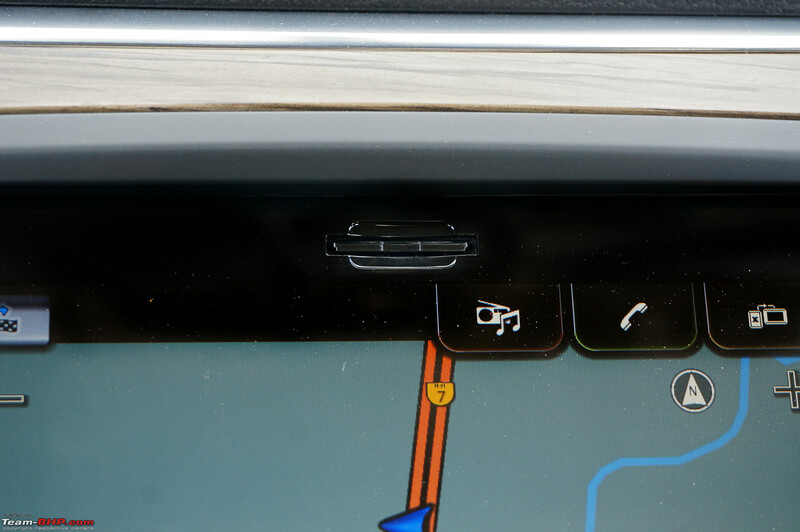 The system also comes with navigation (by 'Here' maps), voice recognition & serves as a screen for the reversing camera. 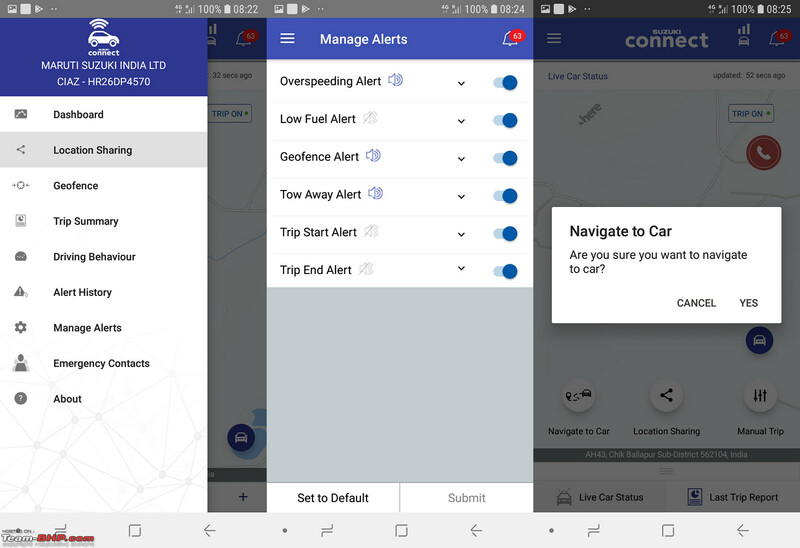 The new addition to the system is the optional "Suzuki Connect" telematics system. Last edited by GTO : 10th October 2018 at 10:02. The Ciaz petrol's 1.4L was always its weakest link. Well, things have improved with the facelift (although not too much). 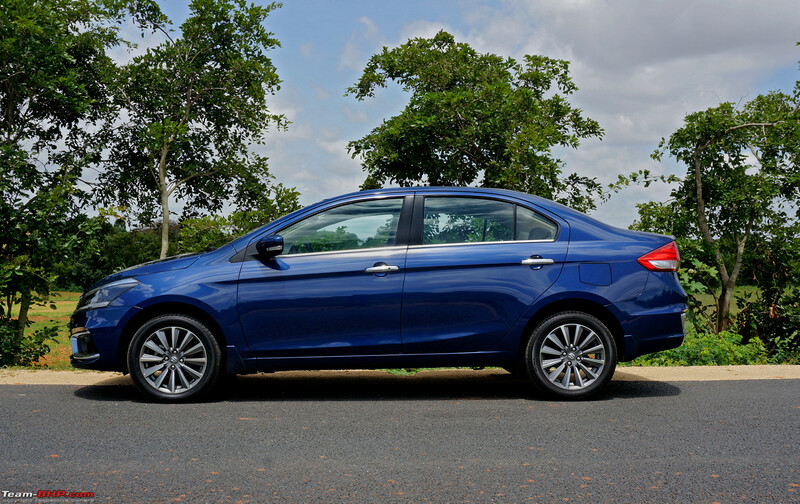 The new Ciaz is powered by a 1,462cc, 4-cylinder K15 engine that puts out 103 BHP @ 6,000 rpm and 138 Nm @ 4,400 rpm. While the power and torque figures are higher than the old 1.4L unit's 91 BHP and 130 Nm, they are no match for cars such as the City 1.5L, Verna 1.6L & Vento 1.2L TSI. It must also be remembered that, with this facelift, the Ciaz's weight has gone up by 25 kg to 1,035 kilos. 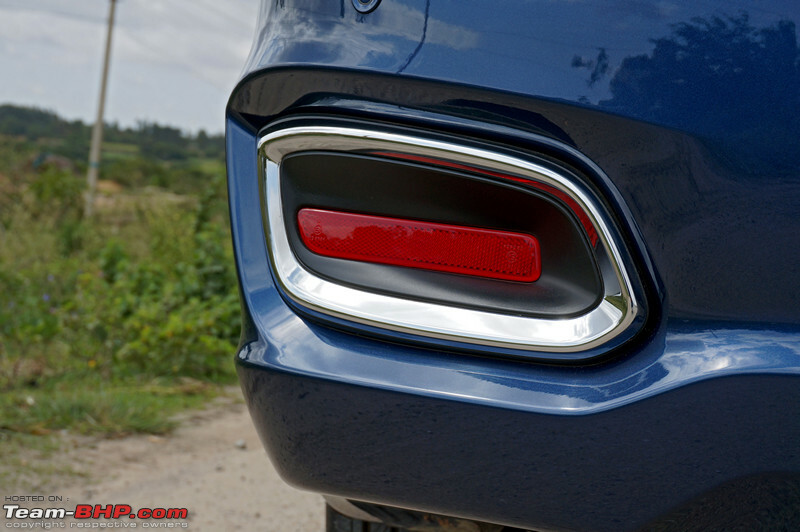 So while the old car's power-to-weight and torque-to-weight ratios stood at 90 BHP / ton and 129 Nm / ton, the new car's figures are 100 BHP / ton and 133 Nm / ton. The new engine sure feels like an upsized version of the old motor. 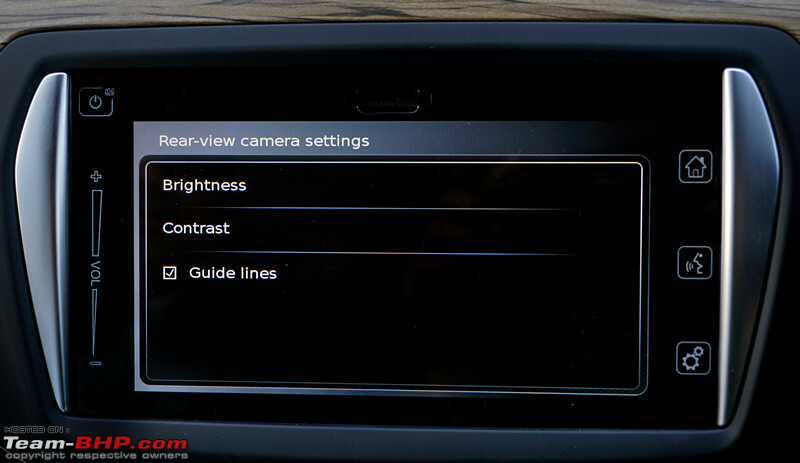 A lot of characteristics are similar (including some areas of the 'driving feel'). 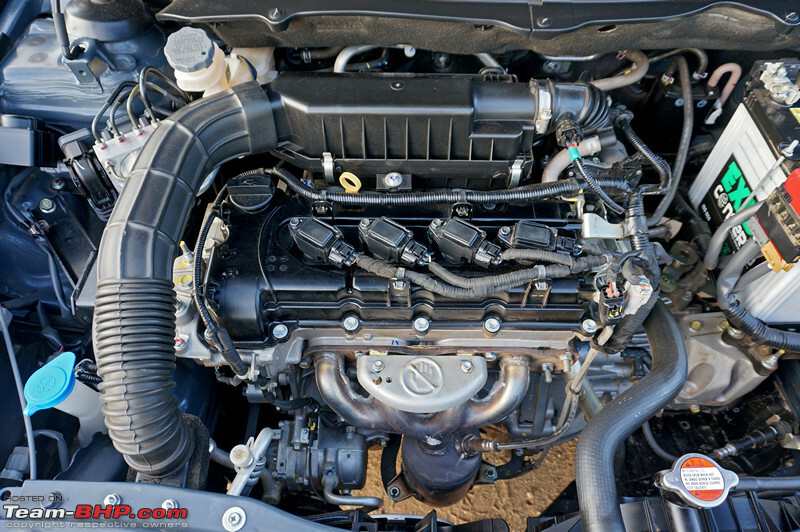 Overall, the 1.5L is better than the 1.4L, yet the difference isn't night & day. 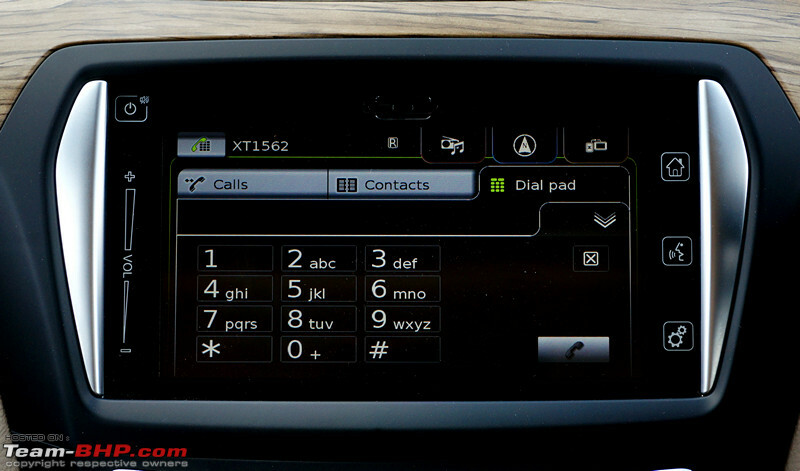 The Alpha & Zeta variants are equipped with keyless entry & go. 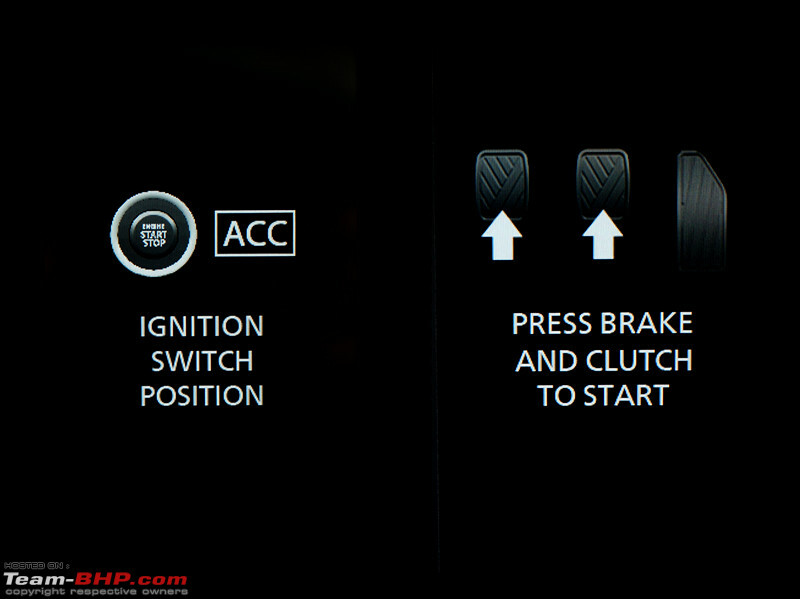 To start the car, press the clutch and hit the start button. 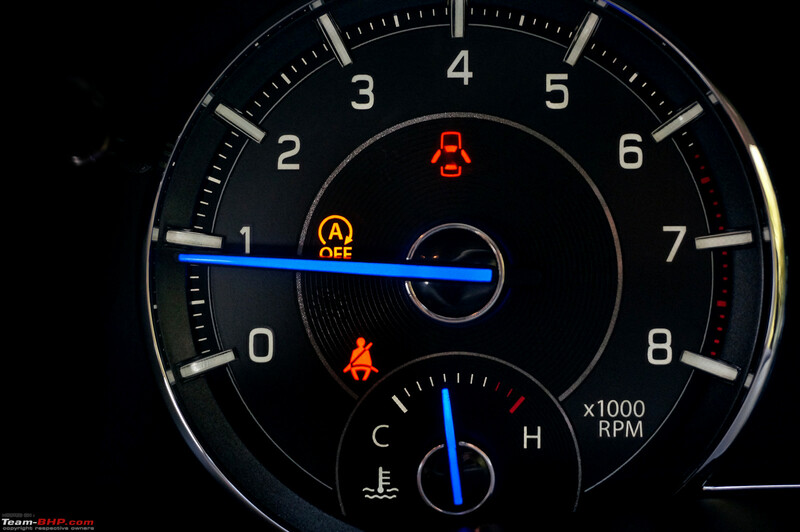 The engine fires up with very little noise and without transmitting any vibrations to the cabin. At idle, it is silent. Press the clutch and you'll find that it has a light action and a short travel range. All the better for city driving. As if to match that, the gear shifter is light & smooth to use as well. Its gates are well-defined and there’s little effort required to slot the lever into place. 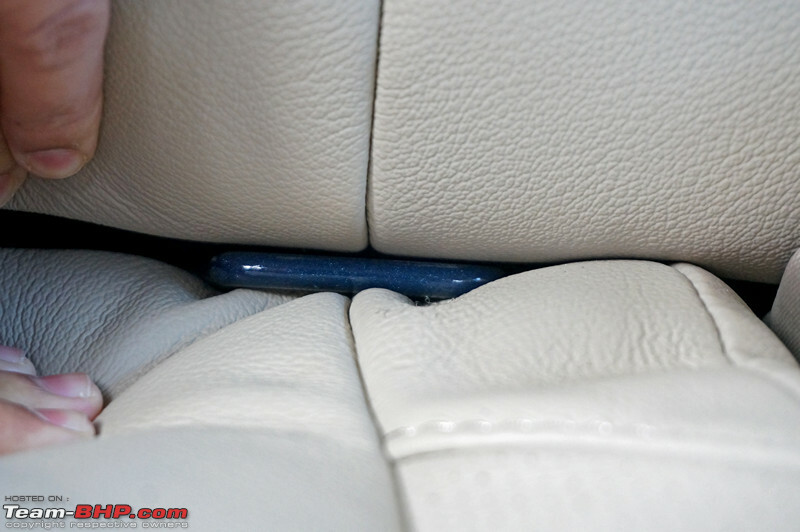 Release the clutch gradually and the car moves forward without any throttle input. You can even pull away from a standstill in 2nd, albeit with some extra accelerator input! 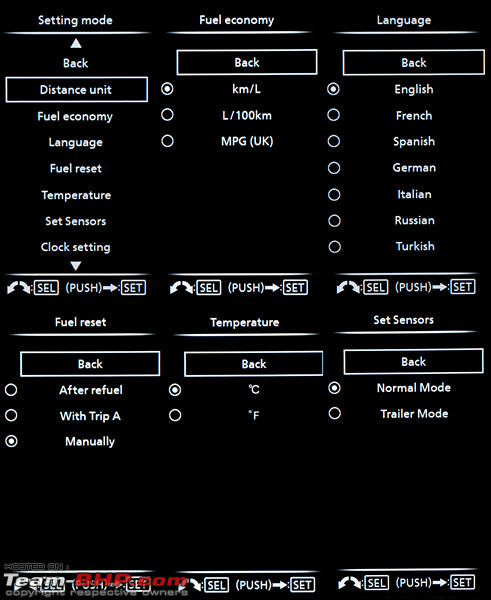 Throttle response is quite satisfactory. 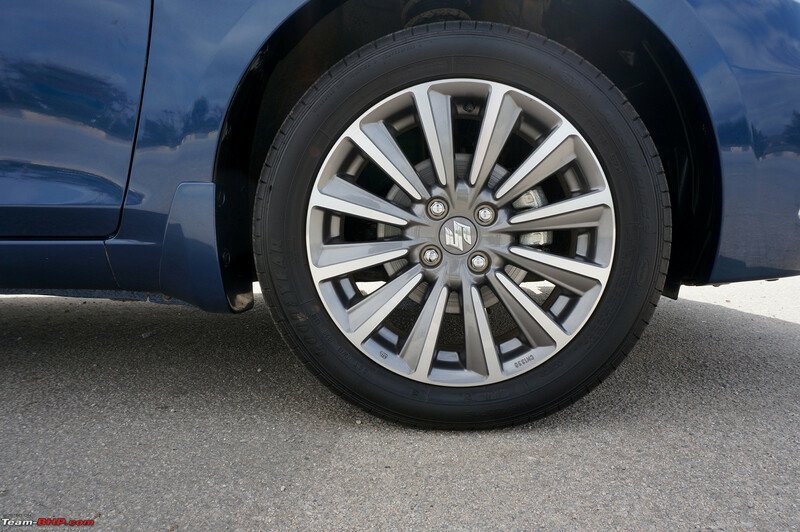 Power comes in smooth & seamless. Low speed driveability is good and in the lower gears, the car can pull reasonably well at anything over 1,000 rpm. 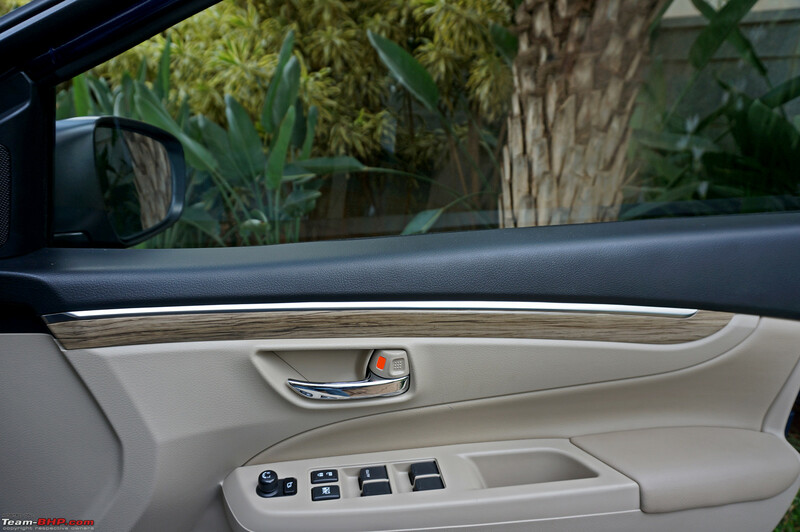 The way the engine is tuned makes the Ciaz a practical car to drive in urban surroundings. 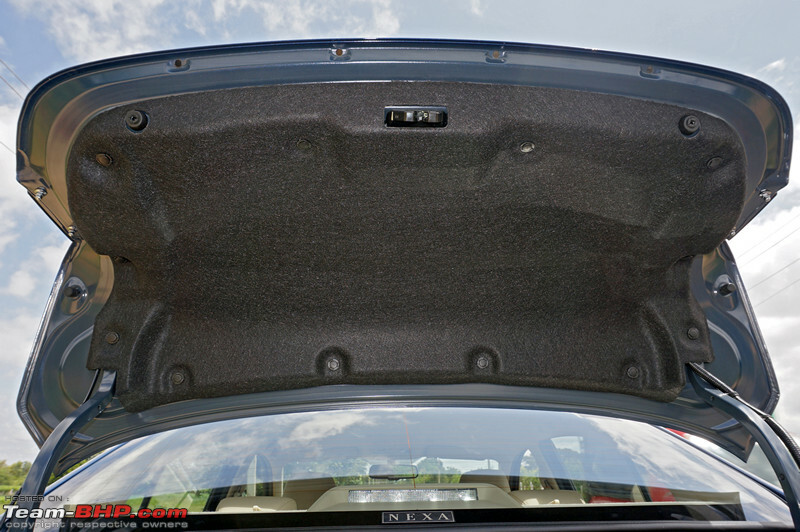 What's more, the 1.5L is refined at low revs (although it's not Verna-like refinement). 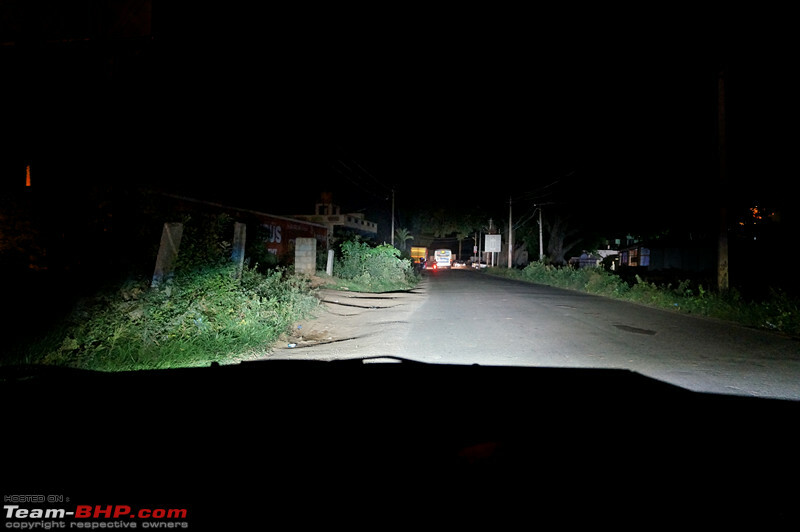 On the open road, the Ciaz feels adequately quick, but far from being really fast. 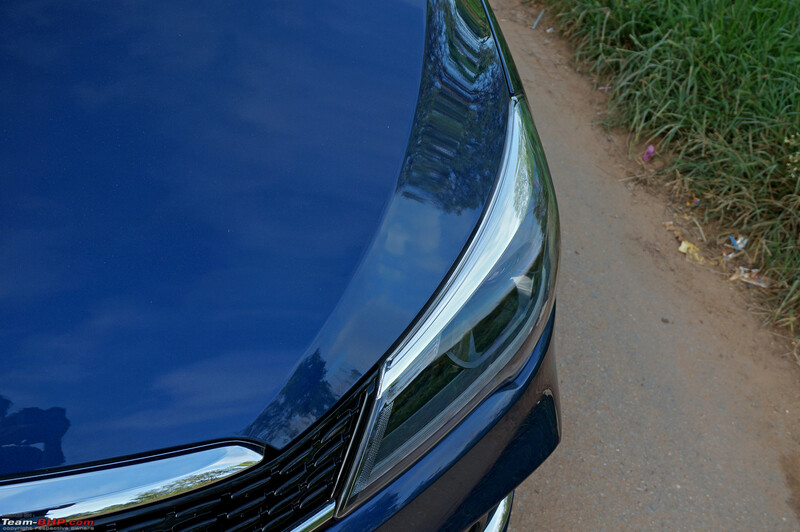 Like the old Ciaz 1.4L, the Ciaz 1.5L is also more of a 'cruiser' rather than a 'racer'. Power delivery is linear and there is enough performance available to get the job done. That said, the car's outright performance is not as strong as its rivals. A Honda City will leave you in the dust. When pushed, the engine revs to 6,300 rpm. And with a full load of passengers & cargo, you will need to work it hard at times. 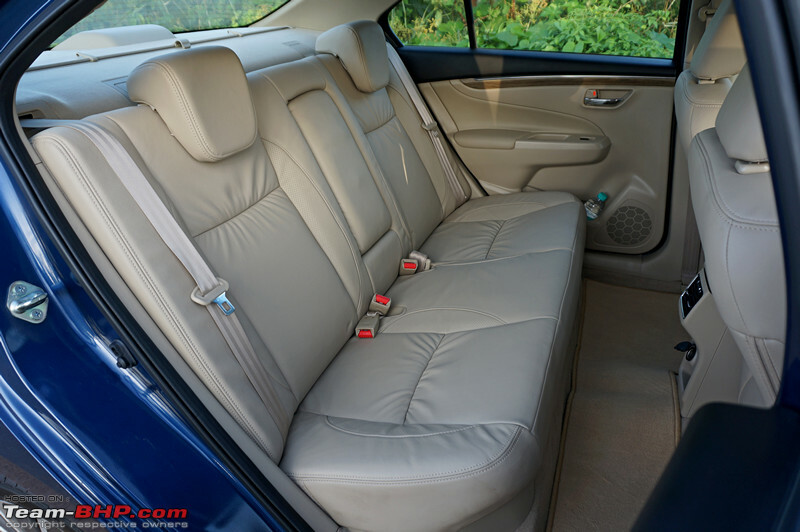 Again, the Ciaz is more suited to a sedate driving style. 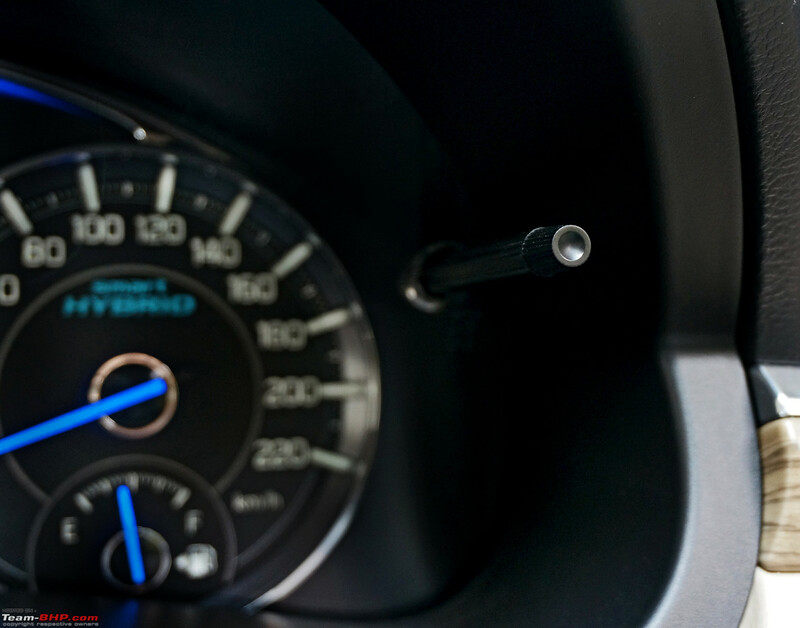 The Maruti can comfortably cruise at 100 km/h & 120 km/h with the tachometer reading 2,600 rpm & 3,100 rpm respectively. 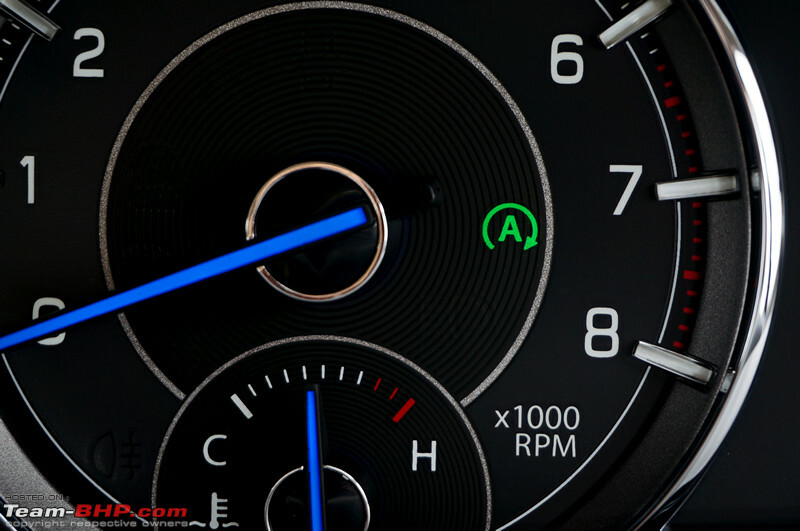 We feel that the rev limit of 6,300 rpm is very conservative. Sometimes, in the middle of overtaking maneuvers, you have to shift up. For the sake of comparison, the City's 1.5L crosses 7,000 rpm and is much more revv-happy too. The best way to sum up this engine is that it's 'adequate', which is the exact same term we'd used for the old 1.4L. This really goes to prove that Suzuki's competence is in small engines, not big ones (even the SX4's 1.6L & Vitara's 2.0L weren't that impressive). 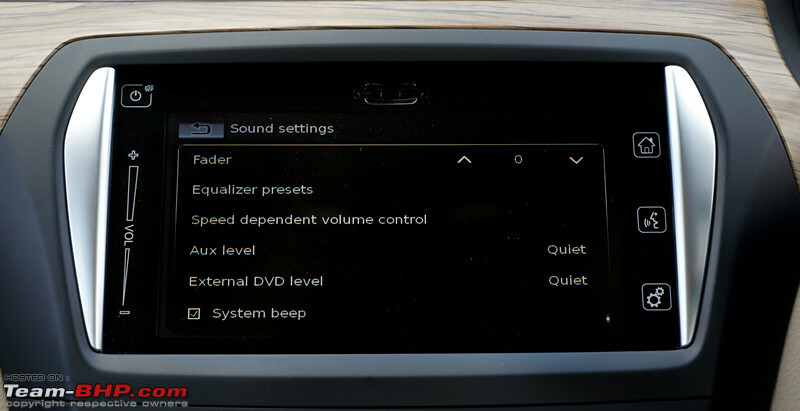 Coming to NVH levels, the engine is silent while idling and acceptably refined at low revs. However, it is audible above 2,000 rpm. You can always hear the motor when you are accelerating. It starts getting loud post 3,500 rpm, and a lot more so after 4,500 rpm. Near the redline, it doesn't sound as sweet as the City's i-VTEC. Wind & tyre noise are both well-controlled. 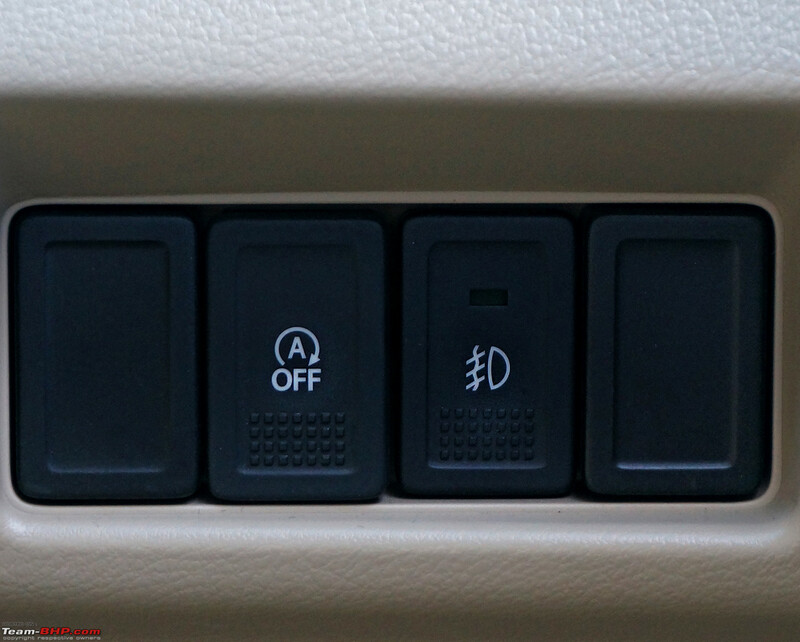 The Delta, Zeta and Alpha variants of the Ciaz MT are equipped with cruise control, while ABS + EBD are standard on all variants. 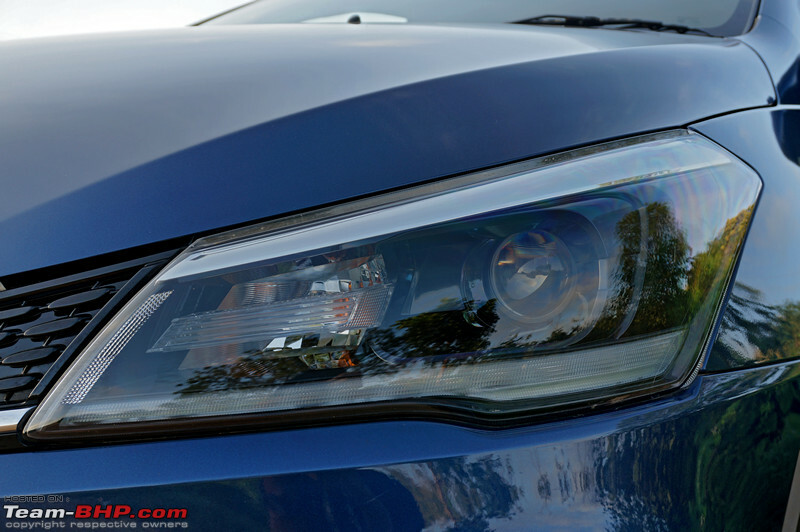 The handling, steering and braking of the facelift are similar to the outgoing car's. Maruti's Smart Hybrid tech has found its way into the Ciaz petrol. 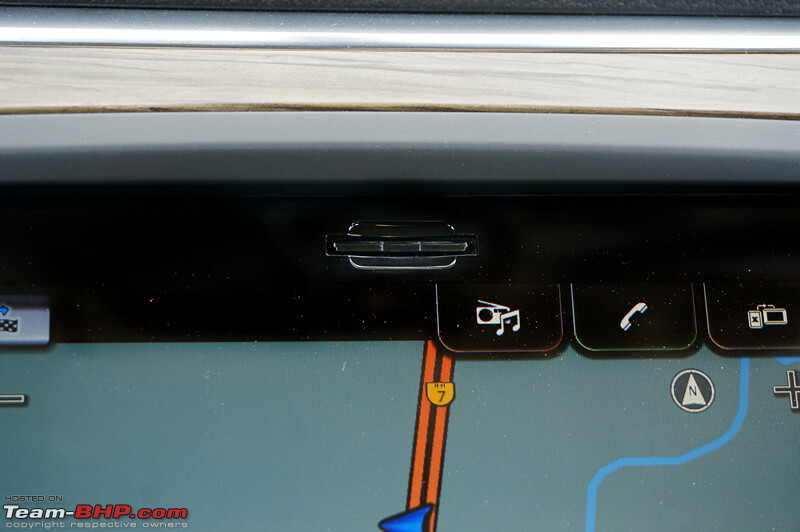 Unlike the diesel, the Smart Hybrid system in the petrol Ciaz uses a dual battery setup. 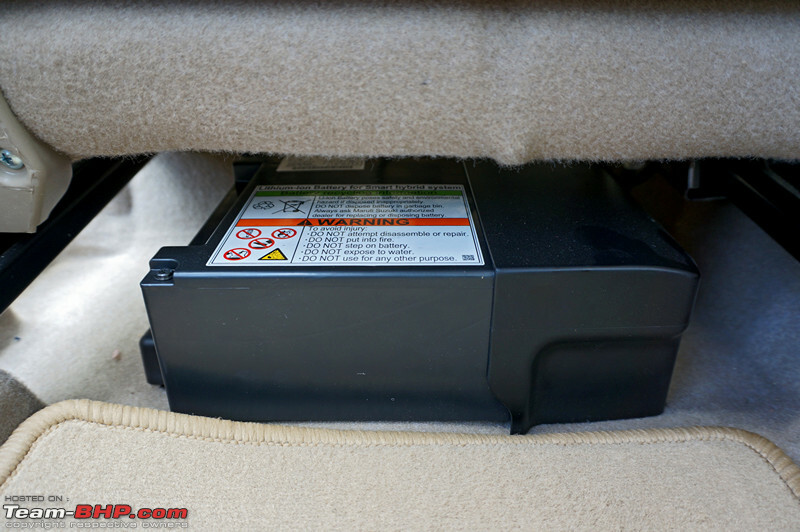 While there is a conventional lead acid battery in the engine bay, a lithium-ion battery sits under the front passenger's seat. 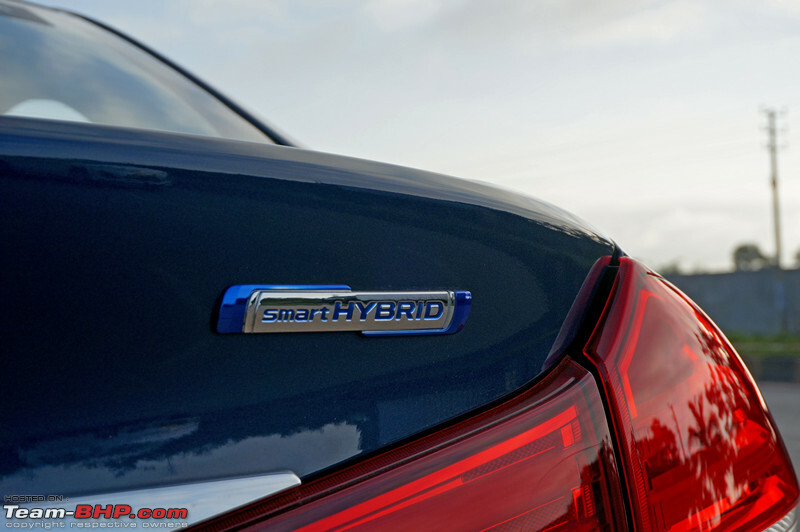 This Smart Hybrid system is at best a very mild hybrid, and not a proper one like say, the ones seen in higher-end Toyotas. It essentially employs an integrated starter generator (ISG), whose primary objective is to enhance fuel-efficiency & reduce emissions. The ISG replaces both, the conventional starter and alternator. It allows greater electrical generation capacity. 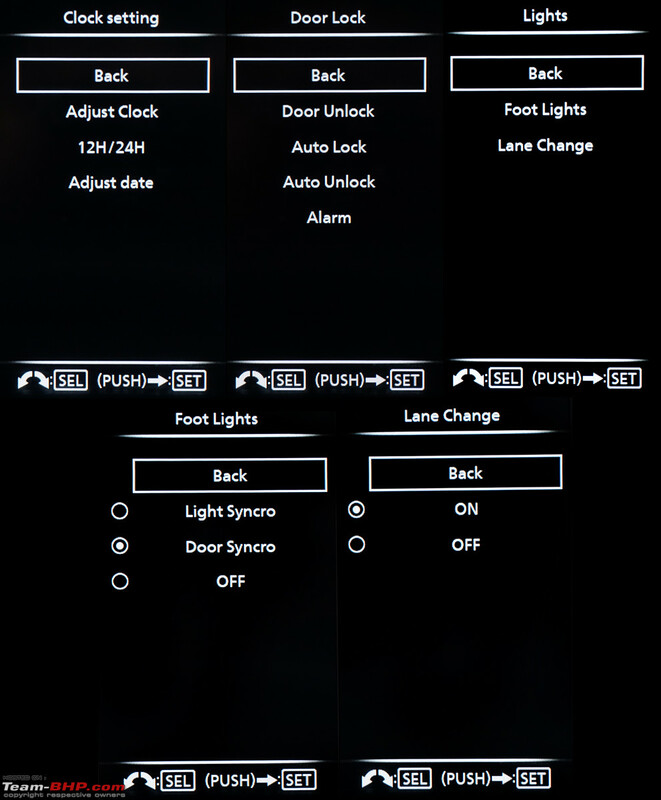 Most of the FE improvements come from the idling start / stop system. This system switches the engine off when the car comes to a standstill and neutral is engaged. 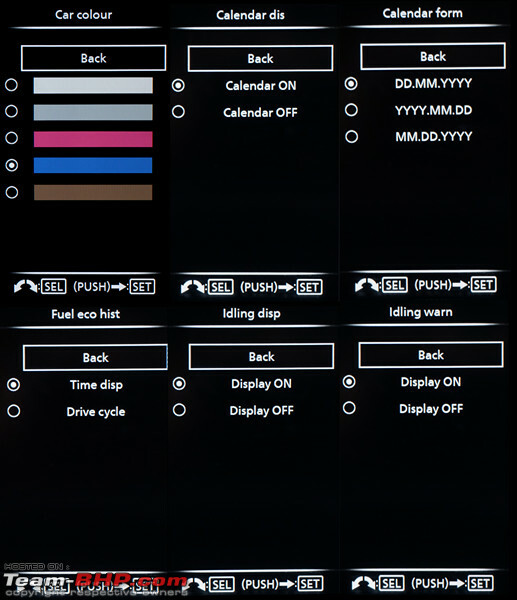 Upon pressing the clutch, the engine fires up again. While this might enhance fuel economy, it can get irritating, although we must admit that the start / stop action is less intrusive than in the diesel Ciaz. Yep, there is a button to disable the annoying feature. 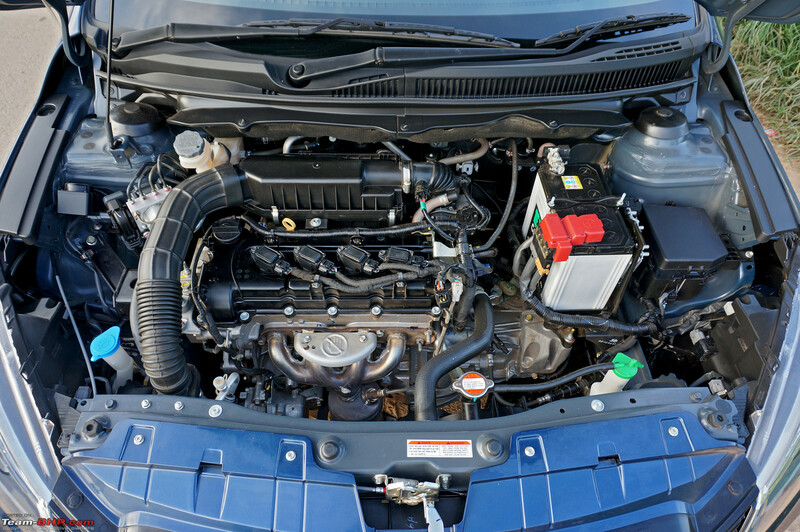 The conventional lead acid battery in the engine bay is used by the idling start / stop system. 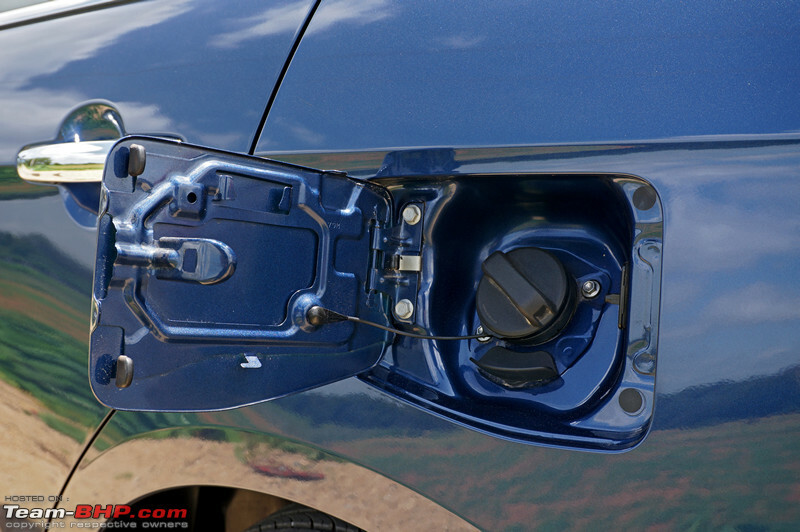 The system also includes brake energy regeneration. In this, when the brakes are applied, the kinetic energy generated is converted into electric energy. This electric energy is stored in both the batteries. The Li-ion battery assists the engine by providing a little extra torque when the car needs to accelerate quickly. 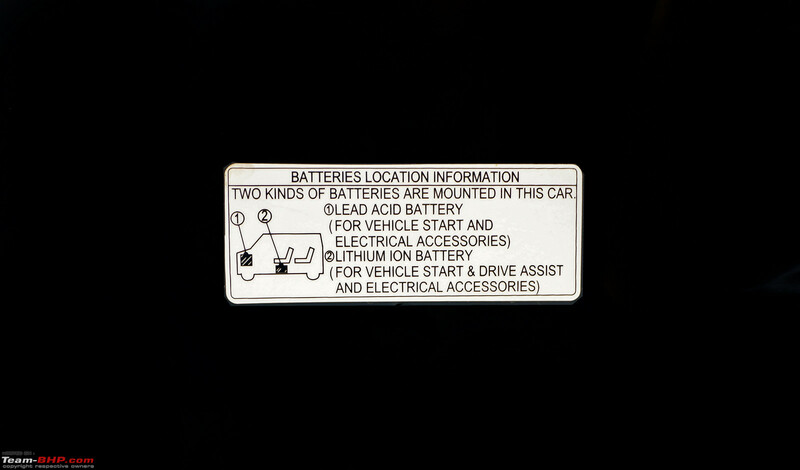 Do note that the batteries get charged even while the vehicle is coasting. While cruising, the electricity stored in the batteries is supplied to the various electrical components. 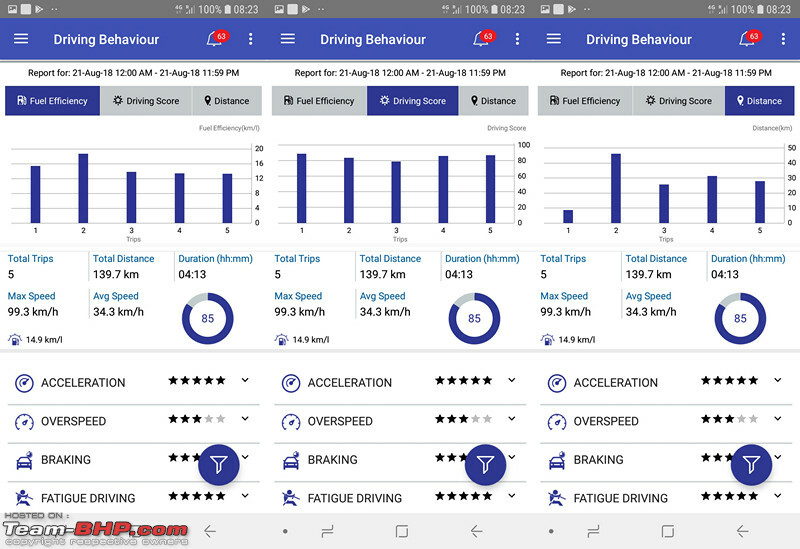 The ARAI FE rating has gone up to 21.56 km/l against the old car's 20.73 km/l. Not a world of difference, yet it leaves an impression when you consider that the engine size, power & torque have all increased. 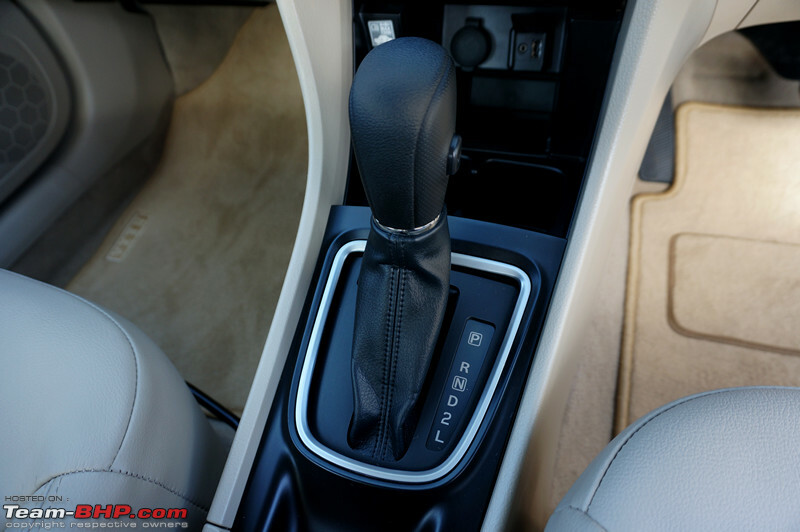 Maruti is offering a 4-speed AT as an option on all variants, except the base. Pretty cool. Variant to variant, the AT is priced exactly Rs. 1 lakh more than the MT. This old & outdated 4-speed torque converter is certainly no match for the 6-speeder found in the Verna or the smooth CVT of the City, let alone the DSG of the Vento. That said, it's good enough to get the car from point A to point B with minimum fuss & effort. The only talking point of this AT is the convenience it provides, and not much else. 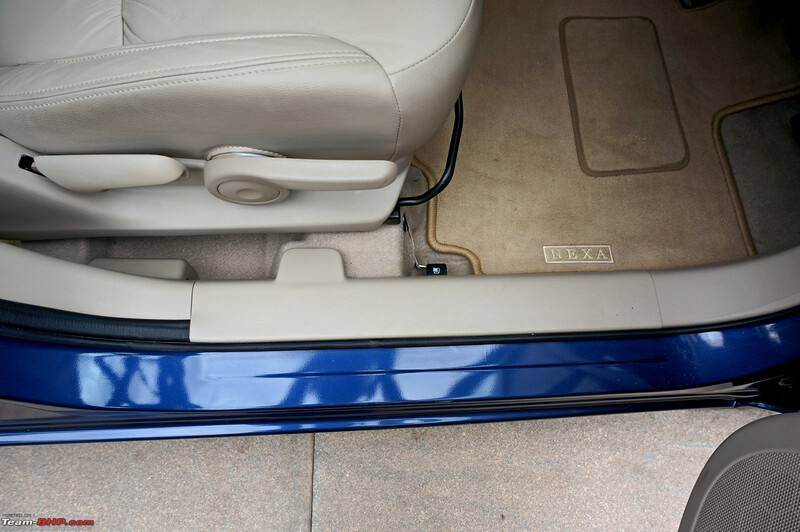 If you buy a Ciaz AT, enjoy the ease of driving the slushbox offers and keep any performance-cravings aside. Just like we said for the engine, the AT gearbox is 'adequate'. 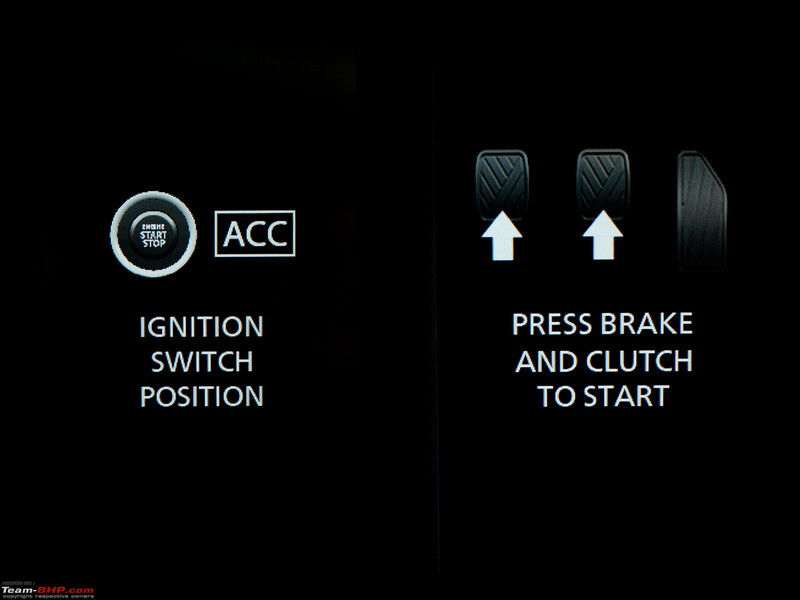 With your foot on the brake pedal, press the start button and the 1.5L engine comes to life. 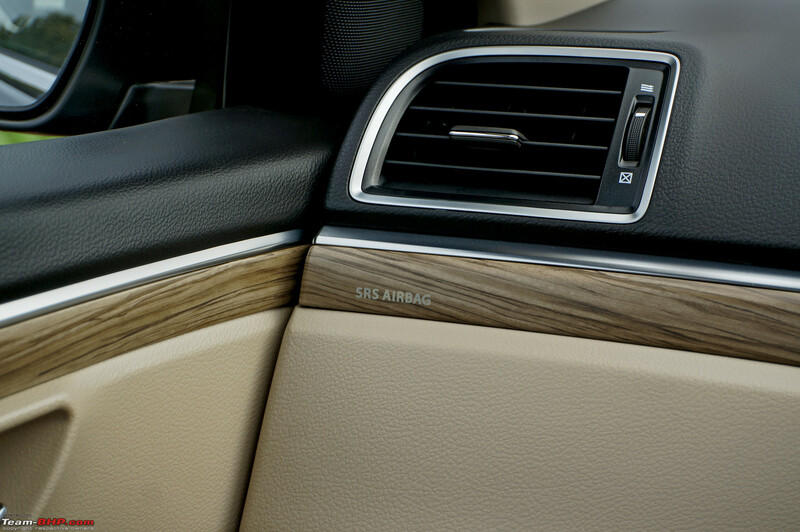 Just like the MT, starting up is a silent affair with no vibrations felt inside the cabin. Unlike the MT though, at standstill, the petrol motor in the AT revs till 4,000 rpm tops (MT touches the max revs of 6,300). 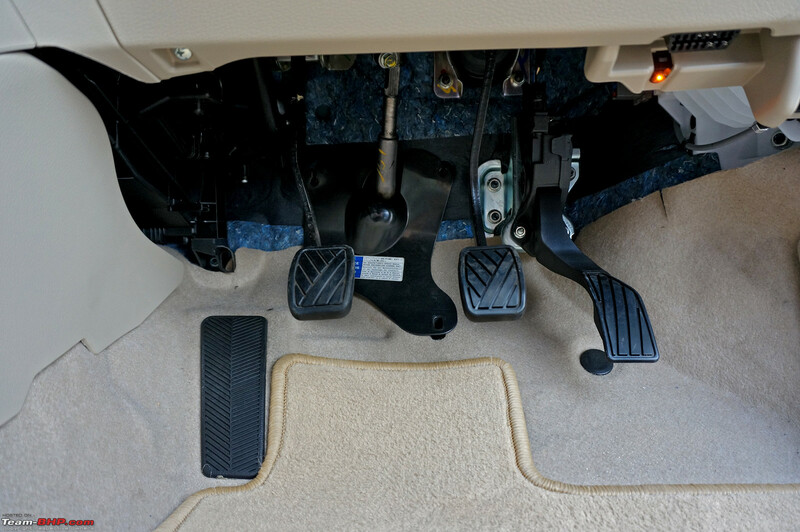 The car moves off the line very smoothly upon releasing the brake pedal. It'll crawl at ~5 km/h without accelerator input (useful in bumper-to-bumper traffic). However, when the accelerator is pressed, initially, the car feels a tad jerky. Right at the start, you will not get any response from the throttle and then suddenly, there is a mild jerk felt as the power comes in, even if you use a light foot. This can get annoying in slow moving traffic. 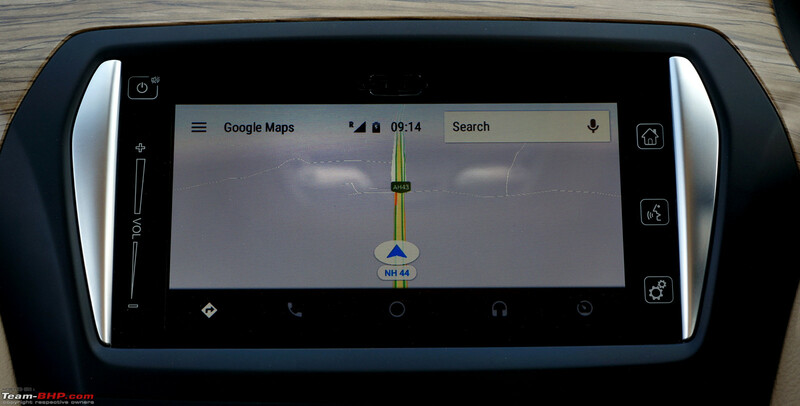 Once you are on the move though, the AT is smooth and free of jerks. 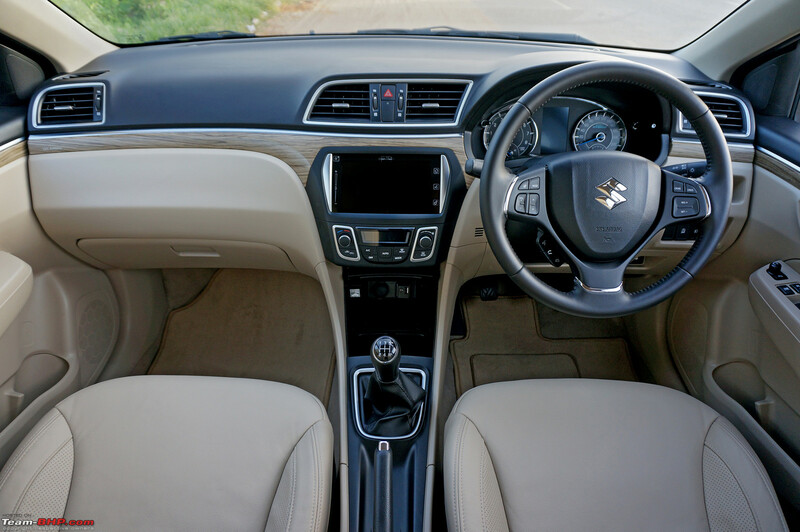 Drive the Ciaz in a sedate manner and the gearshifts are butter-smooth. Other than a driver who listens to the engine, the occupants of the car are not even likely to realize the gear changes. 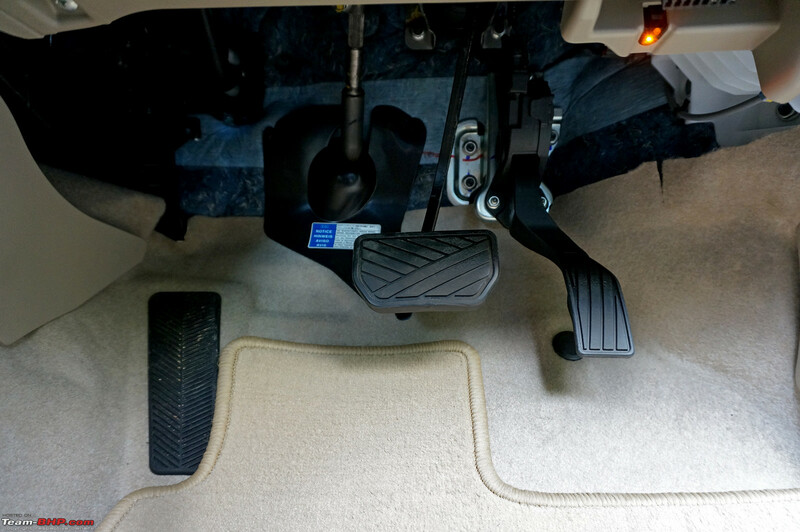 With a light foot, upshifts are seen at 1,700 - 1,800 rpm. 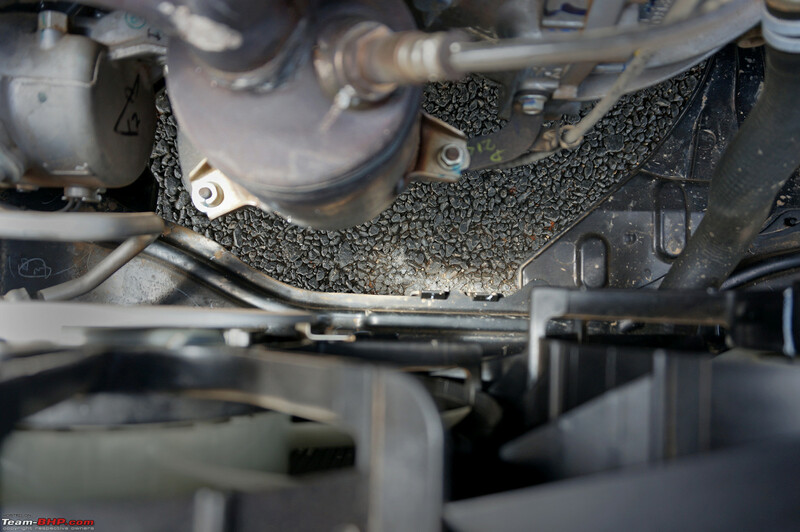 It's an upshift-friendly transmission that's tuned for efficiency. 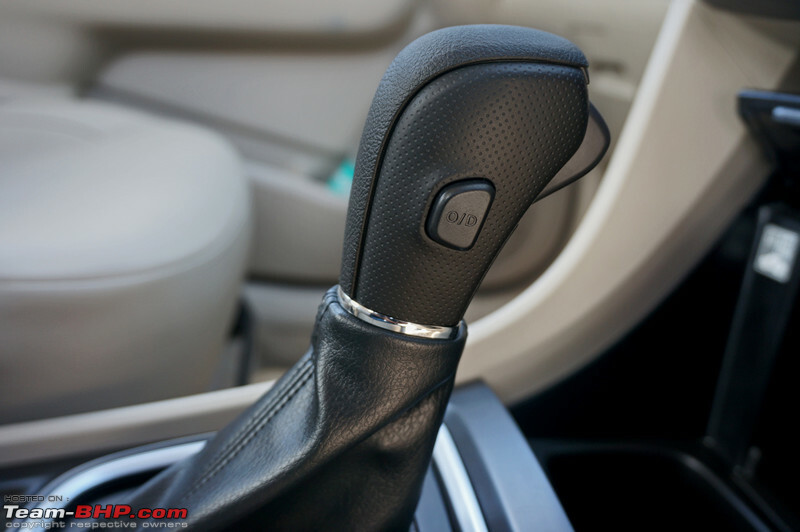 This transmission is not as quick-shifting as a DSG or even the 6-speed torque converter of the Verna. 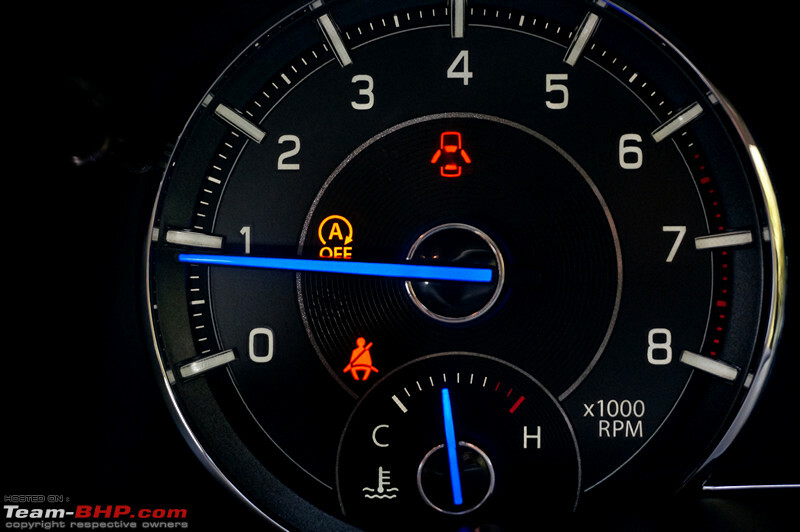 There is some delay before a downshift is executed upon kickdown. 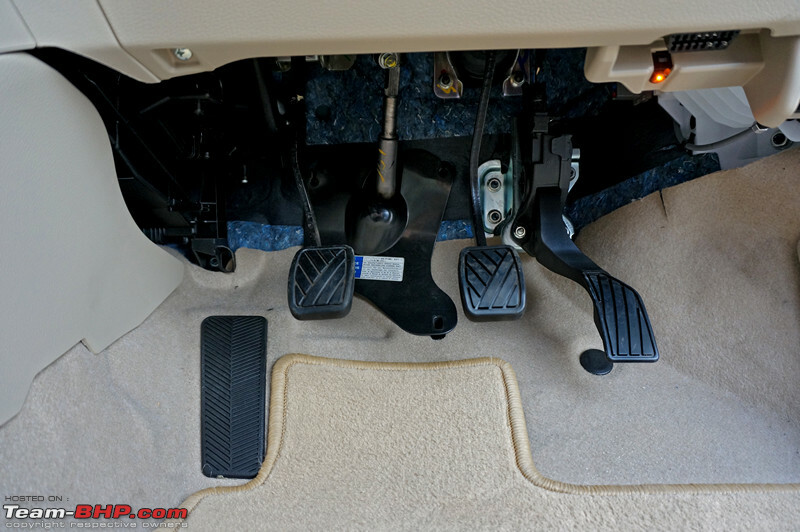 Further, when the speeds are continuously changing, the transmission does get confused. 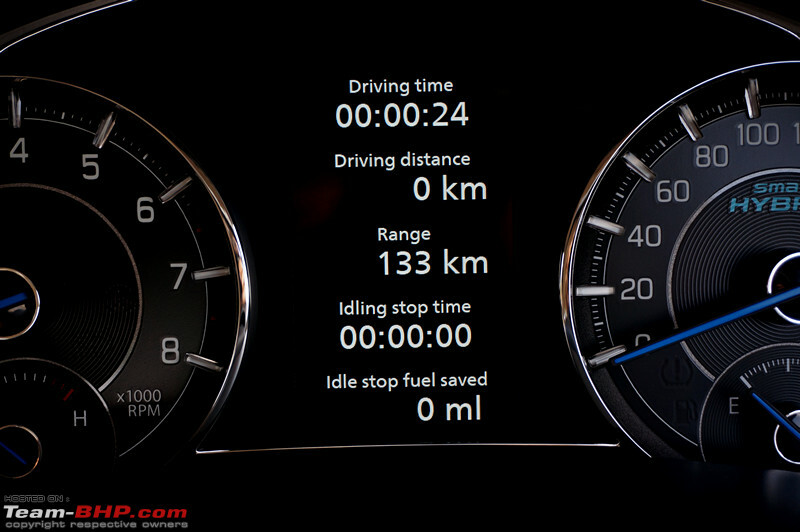 Aggressive use of the throttle will see the Ciaz AT hunting for gears. Therefore, it's best to drive with gradual accelerator inputs. 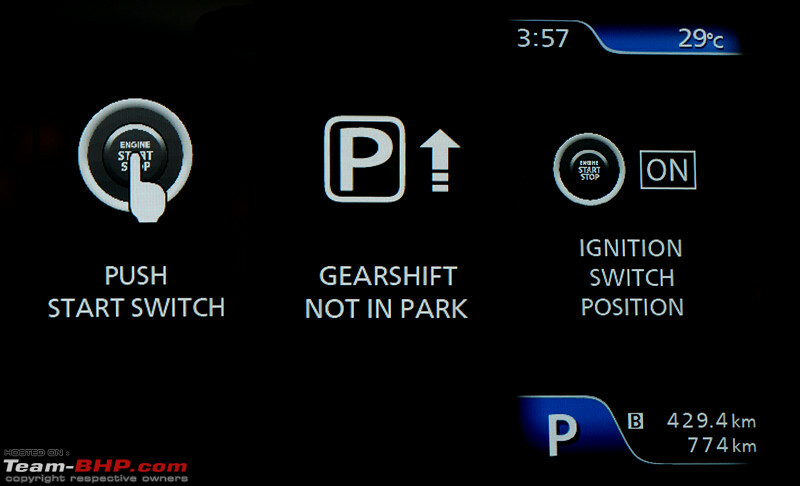 Coming to the shift quality, it is noticeable in situations when you drive hard, but is never excessively jerky. 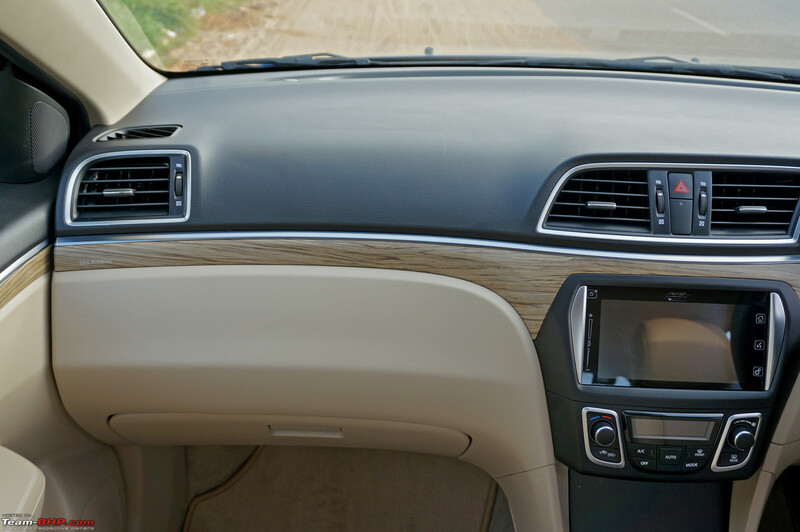 On the open road, the Ciaz is a fair cruiser. 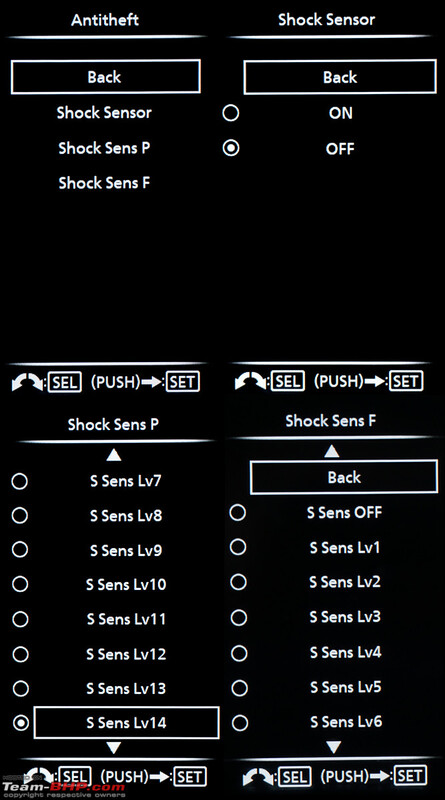 Throttle response is acceptable, while the power delivery is linear; the transmission gets the job done. 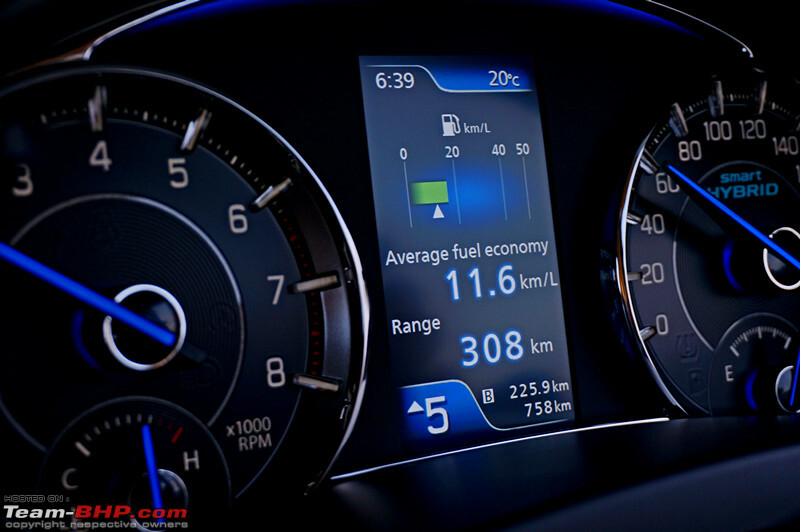 The car can cruise at 100 km/h with the engine spinning at 2,300 rpm - 300 rpm lower than the manual. However, the motor is not strong higher up in the rev range, and does get buzzy. 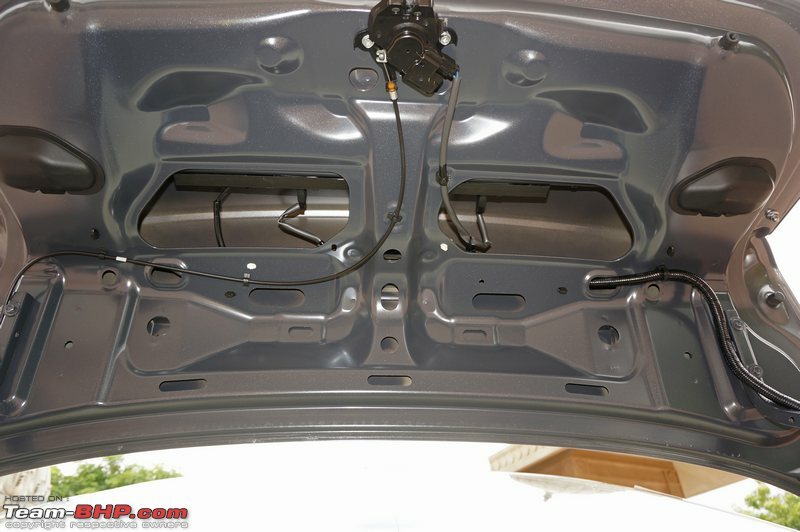 The transmission will shift up once you hit 6,000 rpm. 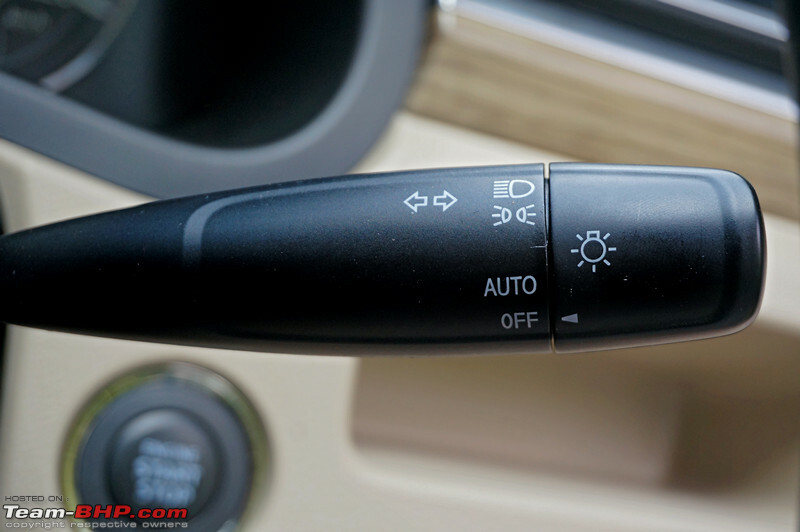 A button on the right side of the gear knob enables the driver to disengage the overdrive gear (4th). This is an outdated feature that we remember from the 80s & 90s (that's probably how old the gearbox is too). The overdrive keeps the gearbox in 4th at low revs while cruising. Disengaging it sees the revs shoot up as the gearbox shifts down to 3rd. However, this can come in handy when overtaking slow moving traffic on undivided highways as 4th is very tall and the AT always needs a downshift to 3rd to overtake. Better to keep it in 3rd (via the 'overdrive off' button) until you are done with overtaking. 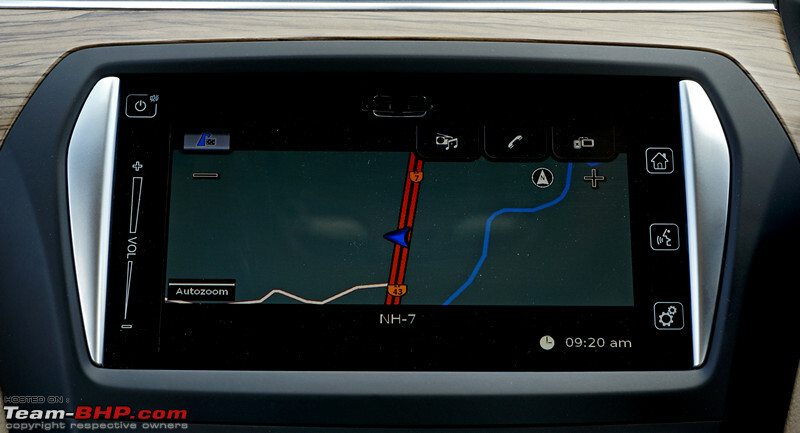 It will also help on continuously undulating roads where the gearbox will otherwise constantly shift between 3rd <-> 4th. 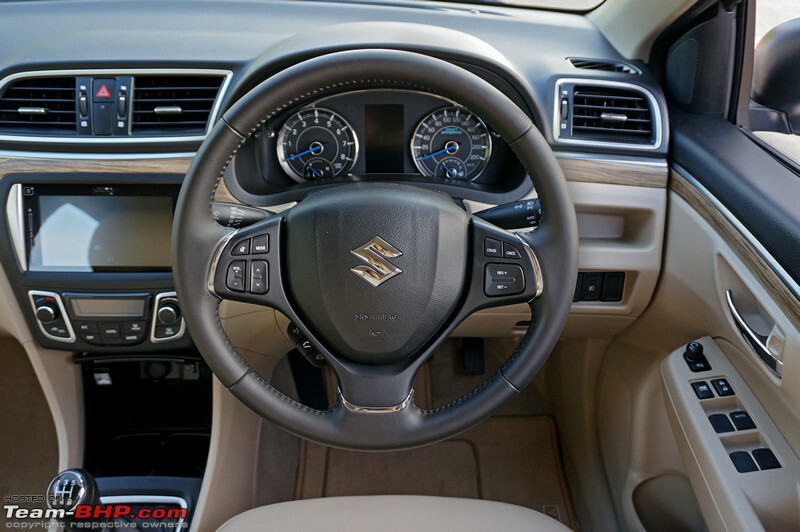 Maruti hasn't provided paddle shifters, a 'sport' mode or even manual mode. 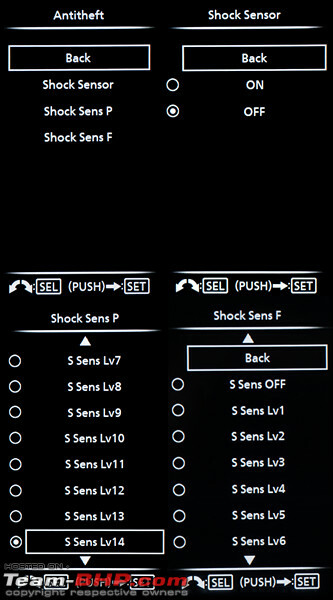 What it does have is "L" and "2" modes. 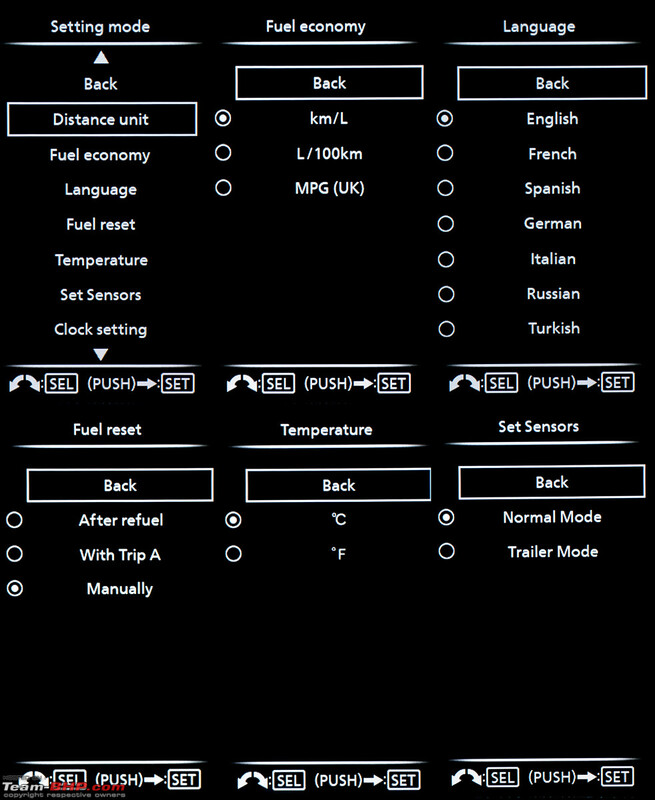 In the former, the engine will stay in the lowest gear (1st). It is best to use this on steep ascents or descents. In the "2" mode, the engine will only use the initial 2 gears of the car (never going up to 3rd). This can be used on inclines & declines that are less severe. 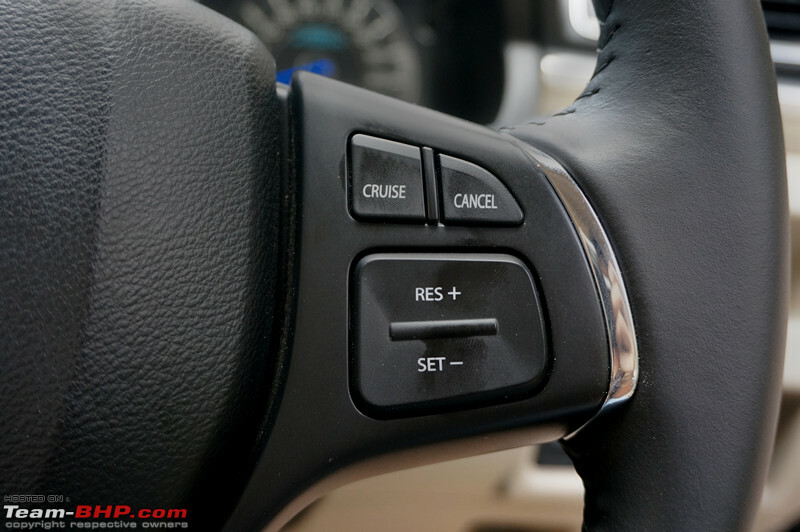 Just like the MT, the AT gets cruise control. Additionally, the AT gets ESP with hill-hold . The Ciaz AT also gets the Smart Hybrid system, which is reflected in its fuel efficiency figures. 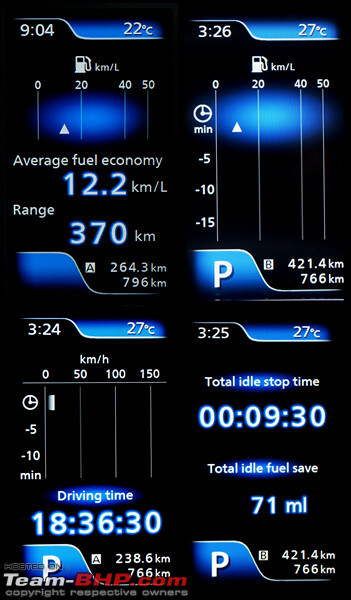 The ARAI-certified FE of the Ciaz AT is 20.28 km/l, which is over a km/l higher than the 19.12 km/l of the outgoing car. With this facelift, Maruti introduces audible safety warnings in the Ciaz. 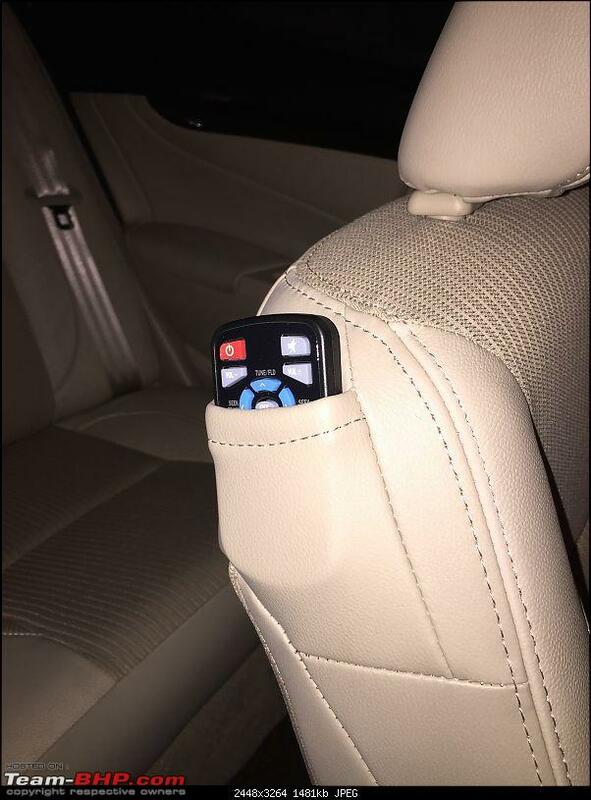 These include a seatbelt reminder for driver + front passenger and a speed alert system. These are soon to become mandatory on Indian cars. 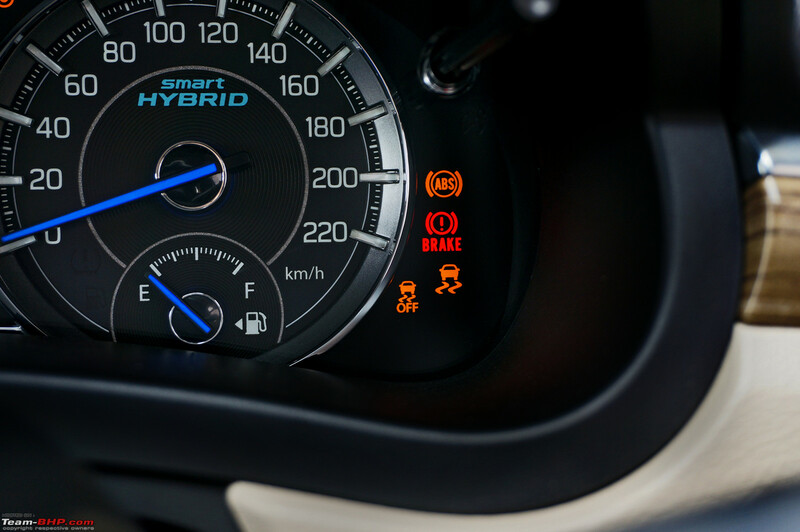 If the driver or front passenger is not wearing his seatbelt and the car starts moving, once it touches 15 km/h, the seatbelt warning light in the instrument cluster starts flashing, accompanied by beeping. Then, even if the car stops, the visual and audible warnings don't! 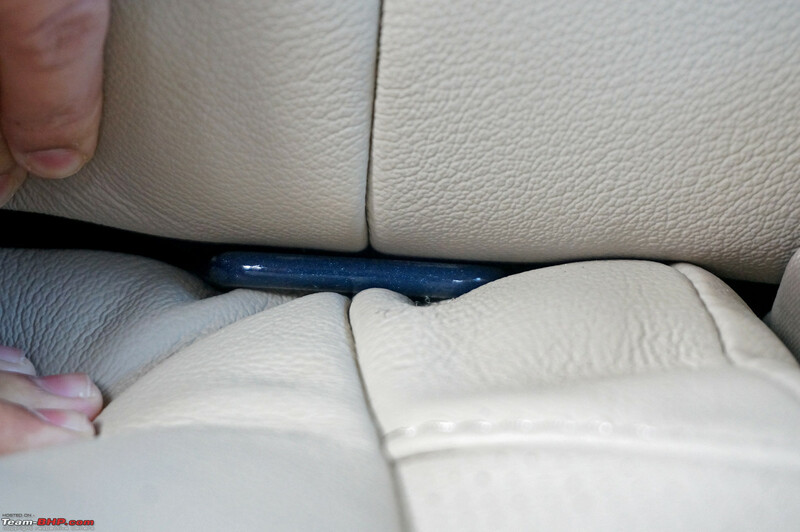 It is only after the occupants wear their seatbelts that the beeping ends. We like this feature, but not the next one . 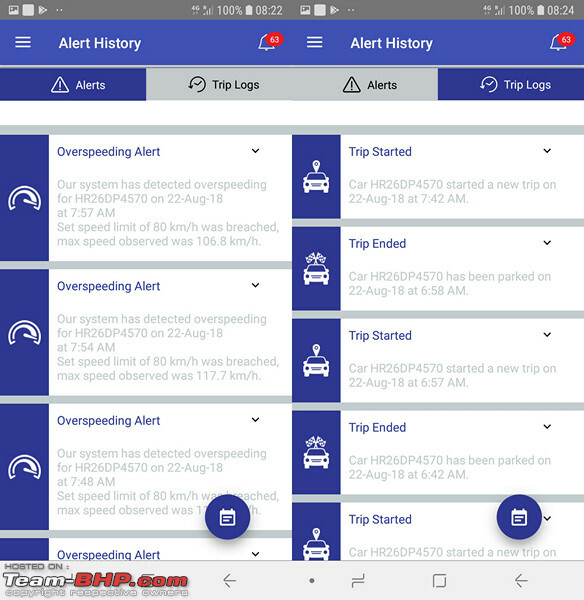 Coming to the speed alert system, when the car crosses 80 km/h, the speed warning system beeps twice every 60 seconds. 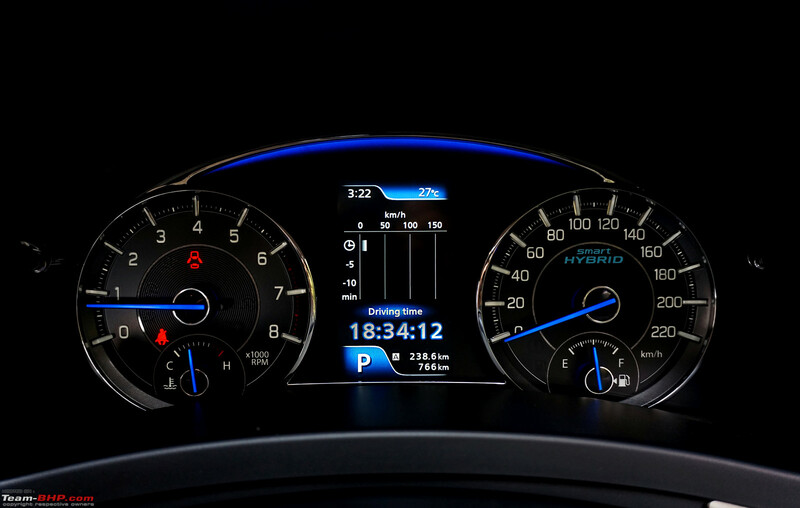 When the car crosses 120 km/h, it beeps continuously. 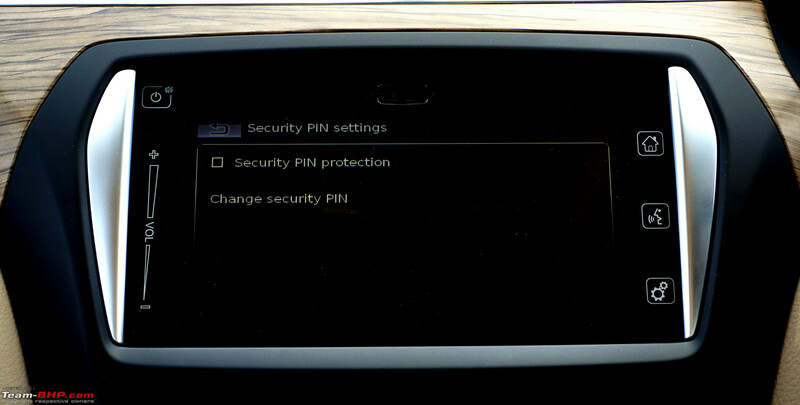 Some drivers will find this irritating and the system cannot be turned off. We're sure that the after-market will come up with ways to disable this system though. 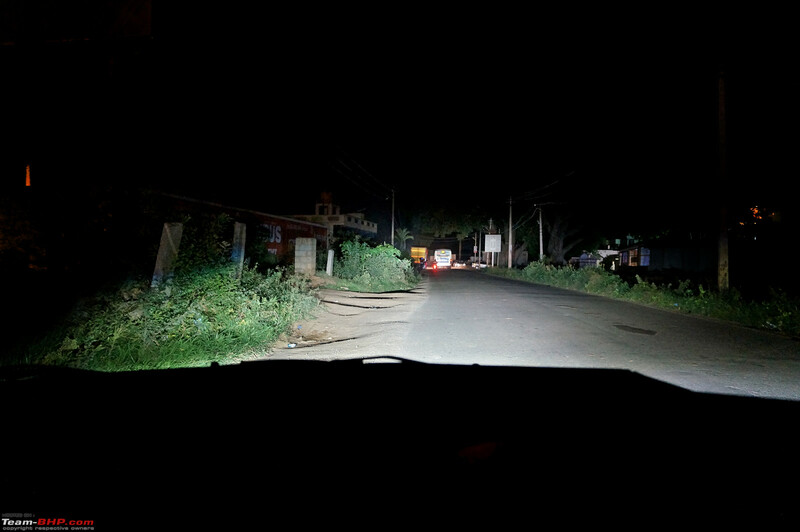 We won't argue with the 120 km/h beeping as no Indian highway has speed limits higher than that. However, many expressways do allow you to legally cruise at 100 km/h. Why should you be bothered with two beeps every minute? Your ears will be ringing with beeps after a 10-hour drive! To discuss this feature with other BHPians, click here. 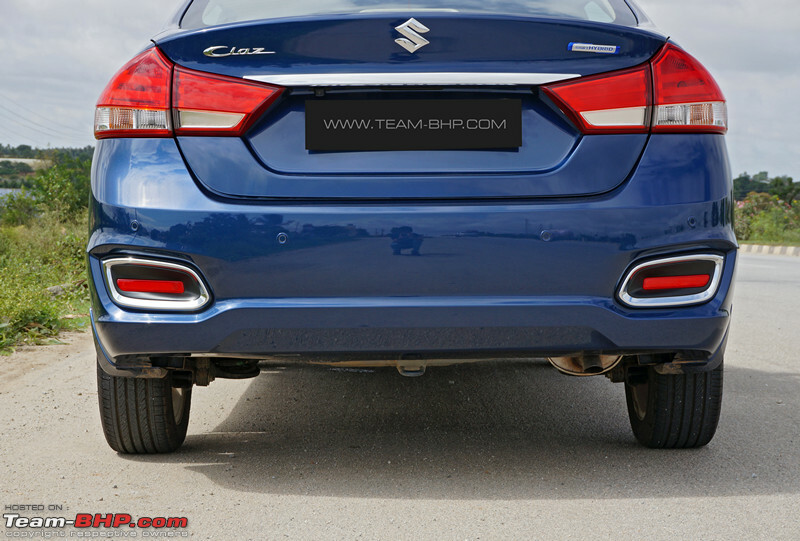 Disclaimer: Maruti invited Team-BHP for the Ciaz test-drive. They covered all the travel expenses for this driving event. Last edited by Aditya : 21st November 2018 at 12:10. Last edited by GTO : 10th October 2018 at 10:21. This is the exact thought I had in my mind when I read review of new 1.5L mill. While this new motor does only seem like a minor improvement, it certainly is going to help sales advisor, ad's focused on comparison charts . 1.5L will not give Maruti the bragging rights but will definitely help them to claim "We are no less". 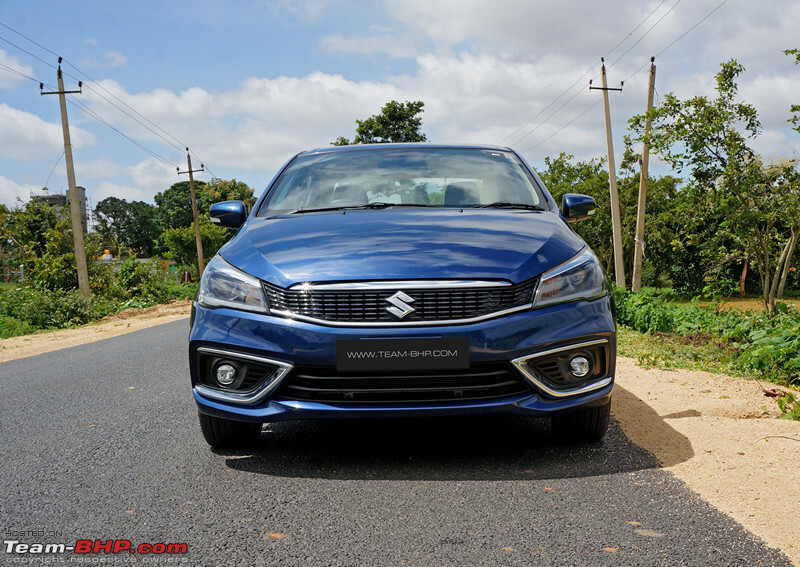 Maruti could have plonked the 1.6L motor from SX4, even though it was old, performance was good. 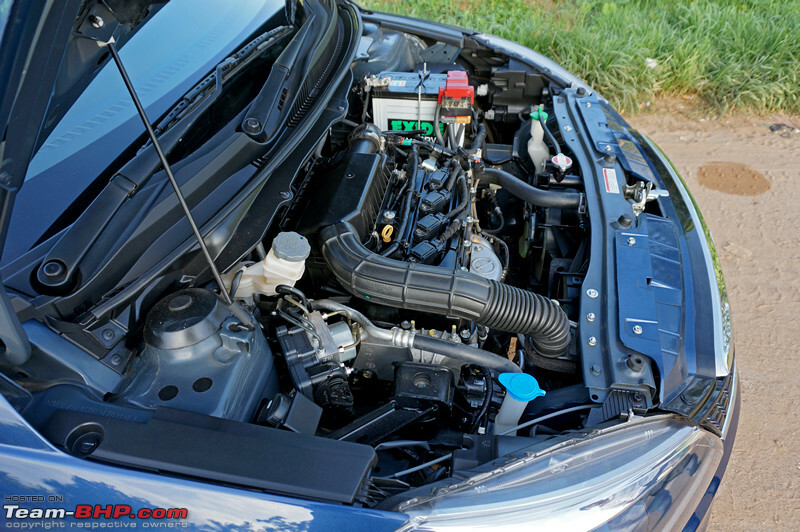 With this motor, the Ciaz would just fly given its lighter then SX4. Thanks Aditya for the review. Rated 5 stars. Maruti has definitely tasted success in the C2 segment with the Ciaz and now want to ensure that the cash registers keep ringing with this face lift. I liked the new face and rear of the car. Also, the colors on offer are all terrific. 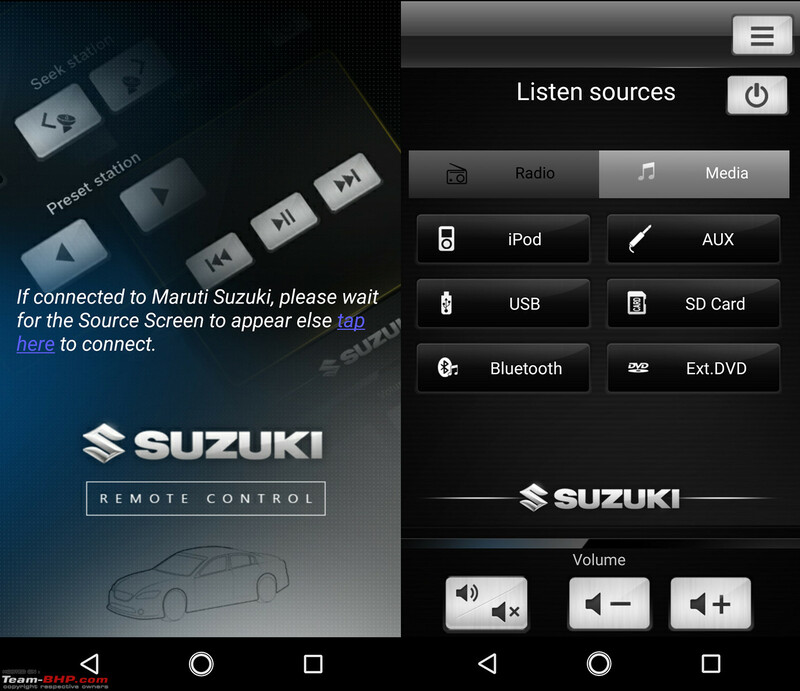 Well done Maruti. 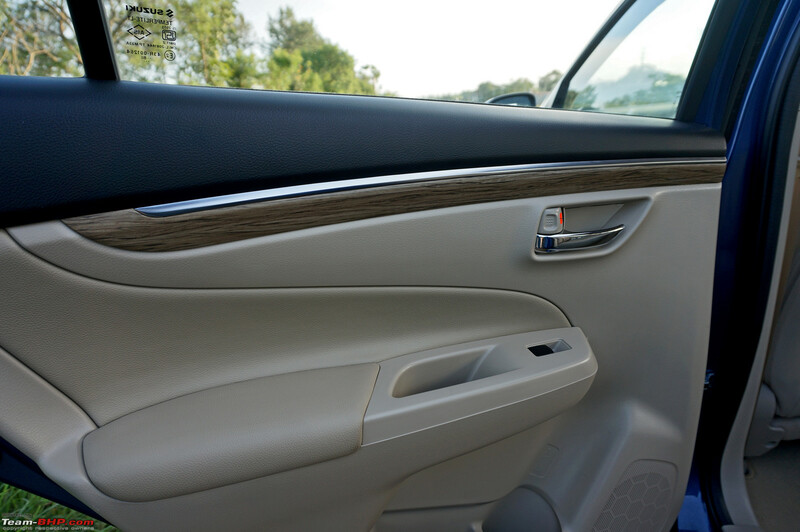 To the regular family, who are trying to pick their first sedan, Ciaz makes a very strong case. Seats 4 very comfortably, is cheap to own and run and yet looks cool. For the family trying to get a workhorse (like GTO's Sunny), the Ciaz again makes a strong case. 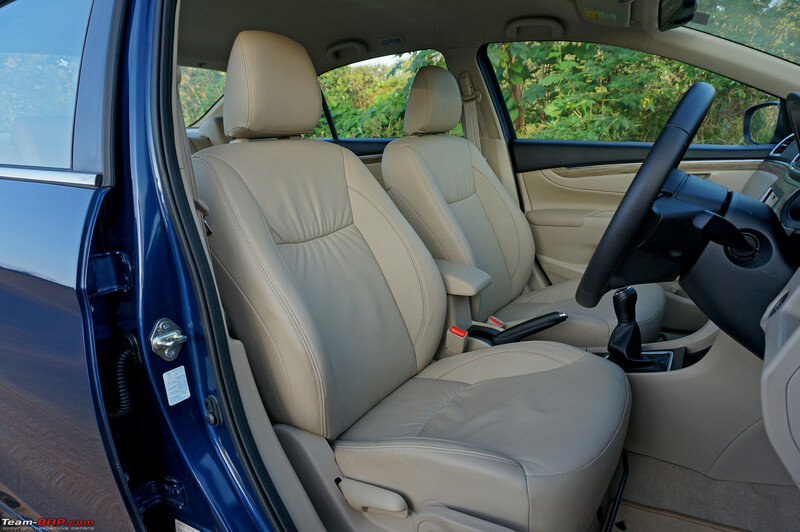 Reliable, spacious with a big boot and fuel efficient. Surely the sales figures are echoing the success. Ciaz numbers > Verna + City ! Liked the styling of the face lift (except the chrome on top of the grill). Ciaz was a handsome car and the updates make it more desirable. I wish Maruti had launched the new diesel engine with this face lift. Last edited by Asish_VK : 10th October 2018 at 12:12. Wonderful review Aditya. 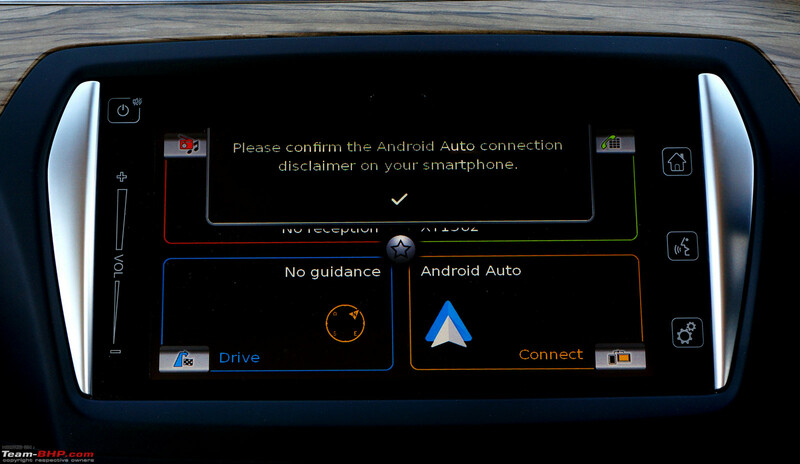 Covered it all and captured every aspect required out of a Test drive report. My post is less related to the facelift and more towards the outgoing version. Since the platform hasn't changed much in terms of Chassis, Steering, Suspension, Seating and engine (Diesel only), I thought this was the right place to pour my thoughts. The outgoing Ciaz was good for what it offered at the price bracket. The sales thread showed how despite of a mediocre Petrol then and the historical Diesel mill it was still opted almost equally by the buyers. 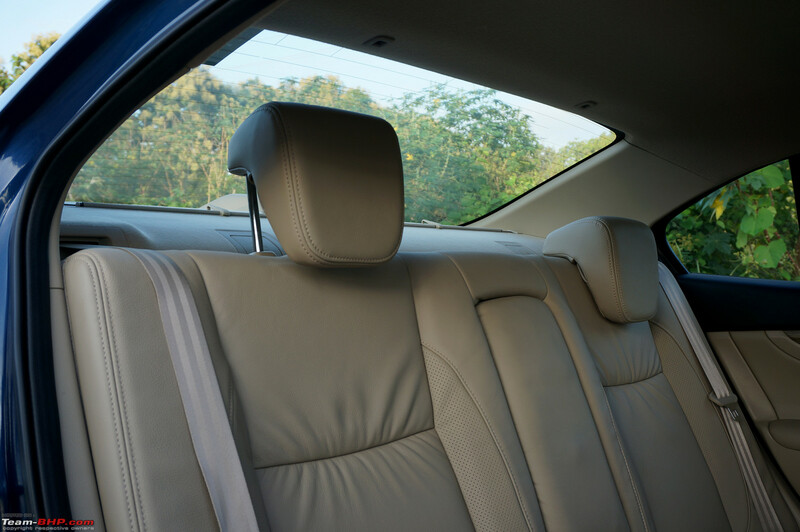 I then got a chance to drive with a friend to Jabalpur last month in his new pre-facelift Ciaz, a distance of 3000 Km and I came out impressed, both as a driver for over 2500 Km and a co-passenger for 500 km since I drove most of the trip. He picked this up 2 months before after a very good discount and bargain during stock clearance and it made perfect sense for his needs. 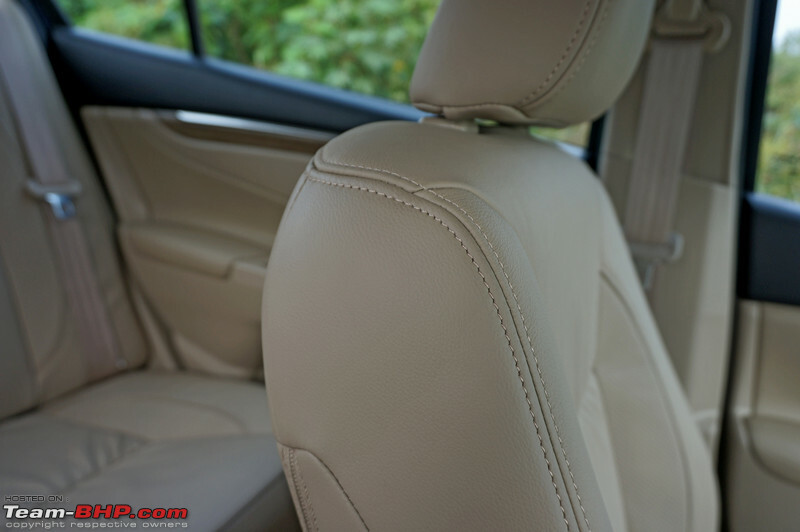 The Gap in terms of Pure performance and handling doesn't differ much from its closest competitors - Honda City or the Verna keeping in mind the buyer pattern for a spacious Sedan who really won't want to take on the curves and involve in throwing some tight corners during each trip. 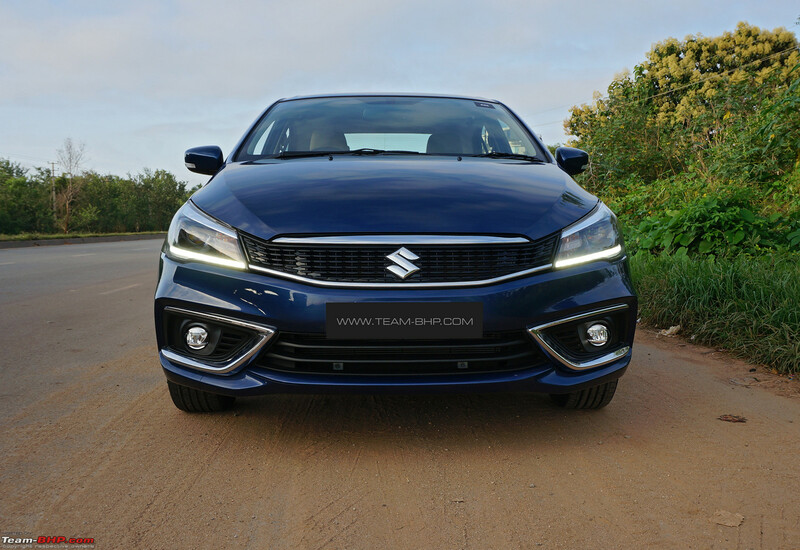 While the Petrol Engines in both Verna and City are superior, the good old MJD for sure didn't seem bad for the Ciaz during our drive. 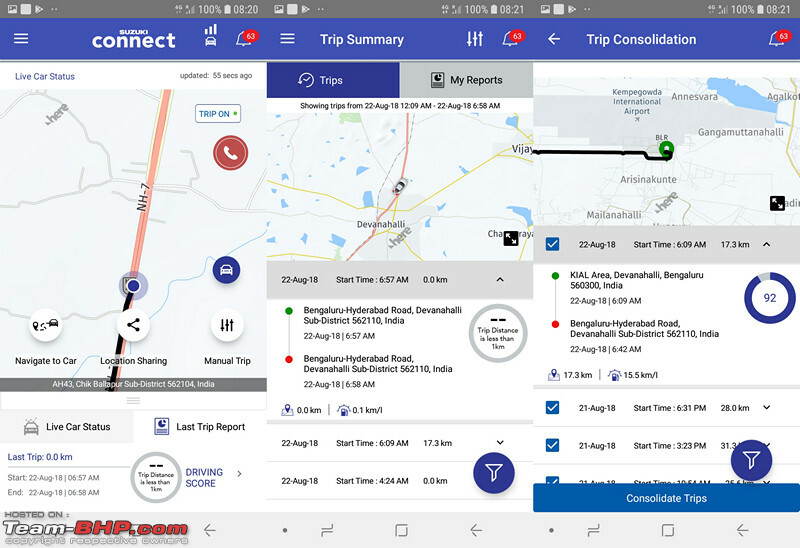 In short, there will be less of those who would say - Wish I had a City or a Verna for this trip instead of a Ciaz because others would perform better or handle well! 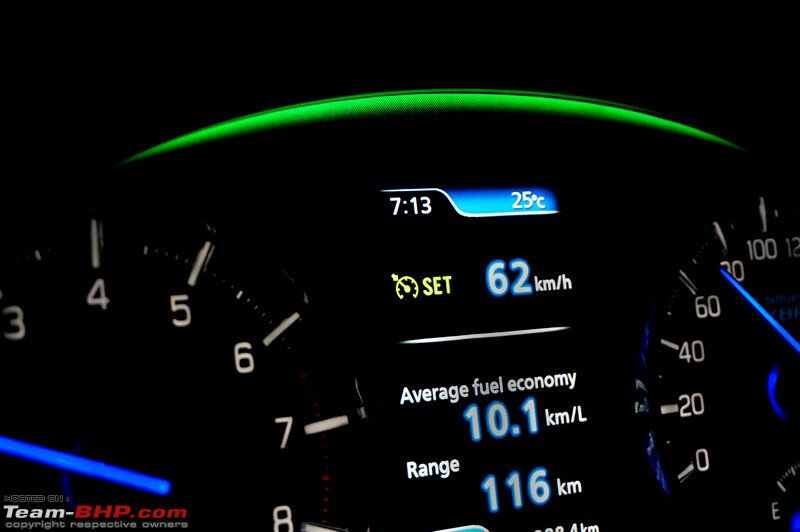 A good cruiser : The Diesel Gearbox has a really taller 5th Gear and this I realised when I was looking at the RPM Dial. 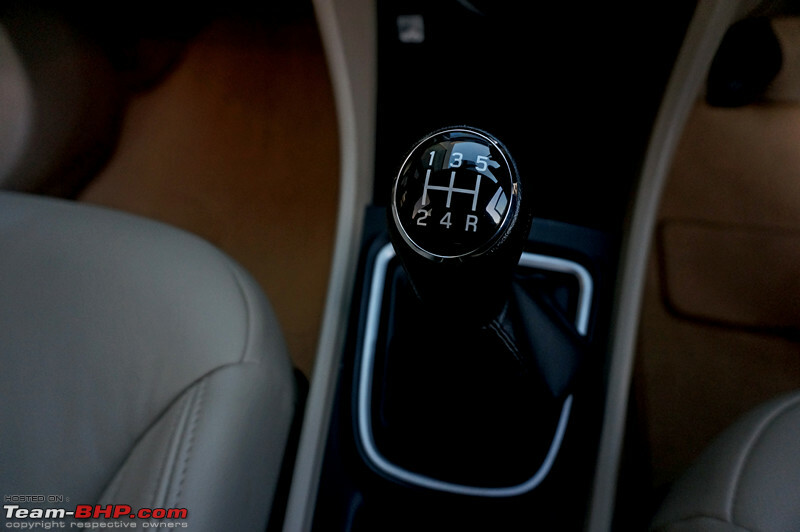 The gearing is taller than most of the other MJD counterparts and this is one reason for better FE with the Ciaz. 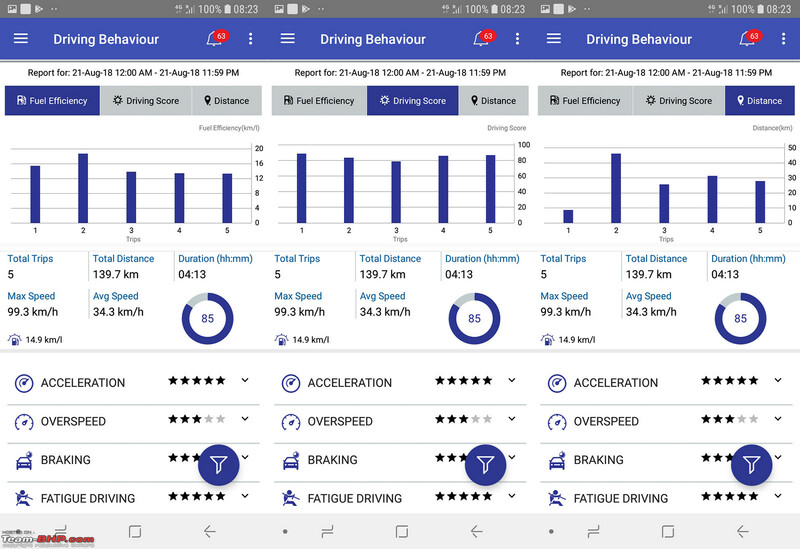 So at 120 KMPH you hardly hear any Engine hum except for the Tire noise, while the RPM is 2500 at 120 in the Ciaz, it is nearly 3000 in the Ertiga and in 5th Gear. So you can imagine what it will deliver when cruising at 100 Kmph. Space: Oh yes! everyone seated from your family will be happy with it. 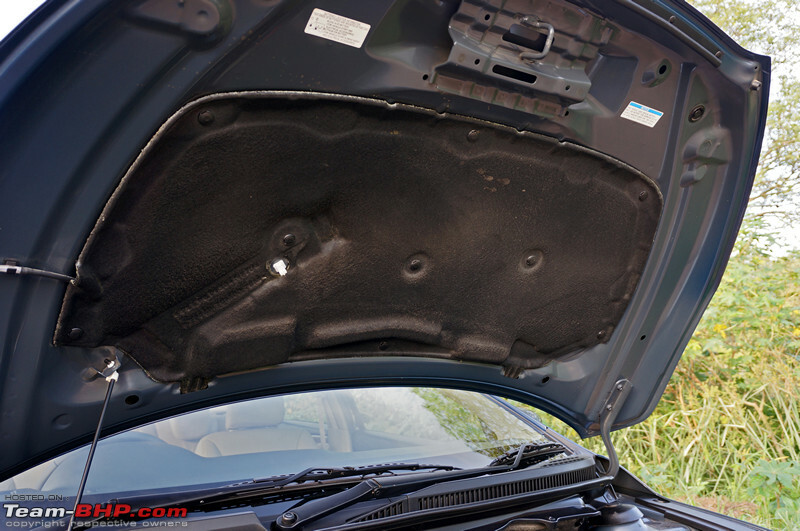 Better quality at some places (Strictly referring to Maruti's own cars to compare) : When I recently opened the hood for a DIY, I found most of the otherwise bad elements decently fitted - Includes wiring harness, clips, headlamp caps (made of plastic and not rubber) etc. What may have been better? 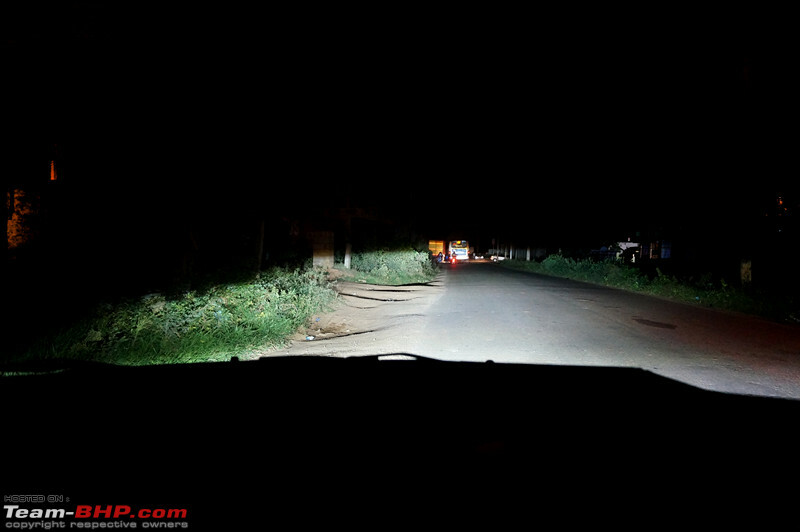 The Soft suspension: 5 Adults and there is every chance it will scrape when you pass on a speedbreaker (Ref- Bangalore). It did quite a few times with us. Steering feedback at higher speeds: Adding to the soft suspension bit above, the steering feels good till around 110 Kmph after which if you want to hold onto a lane and take a longish curve on a dual carriageway, and if the road has uneven surfaces, the confidence levels drop to a disconnect and this was not due to improper tire pressures or crosswinds. It may be the OE tires to an extent too but overall steering feedback beyond certain speeds wasn't that good. 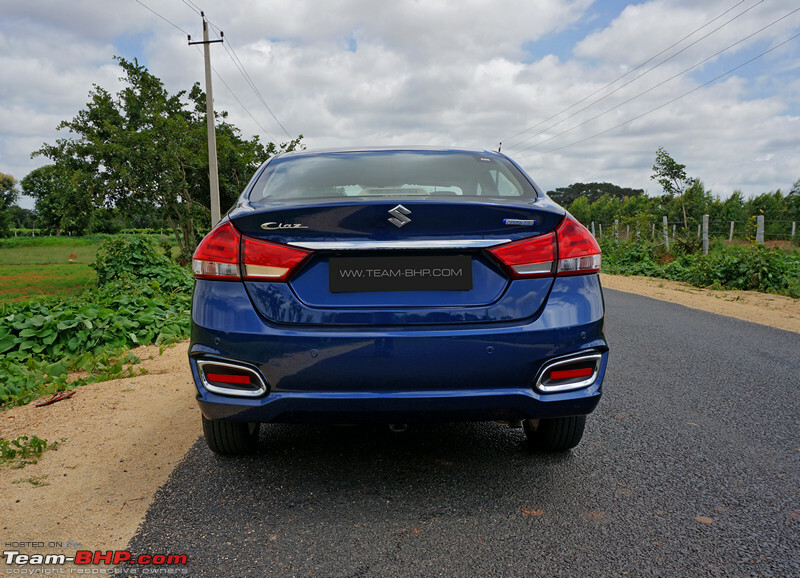 In the end, the biggest differentiator is certainly not the Brand nor the Engine for the Ciaz. The buying market today is very well aware of where to research before buying, especially when it comes to C-Segment Sedans. It is something else and by the review above we know what are those attributes! 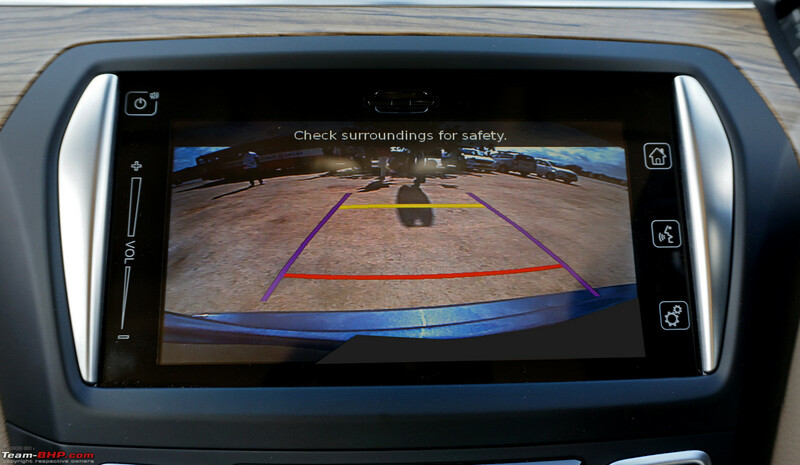 Having recently read about the Crash test reports of both Brezza and the New Swift, it truly shows 2 faces of the same coin of MSIL. 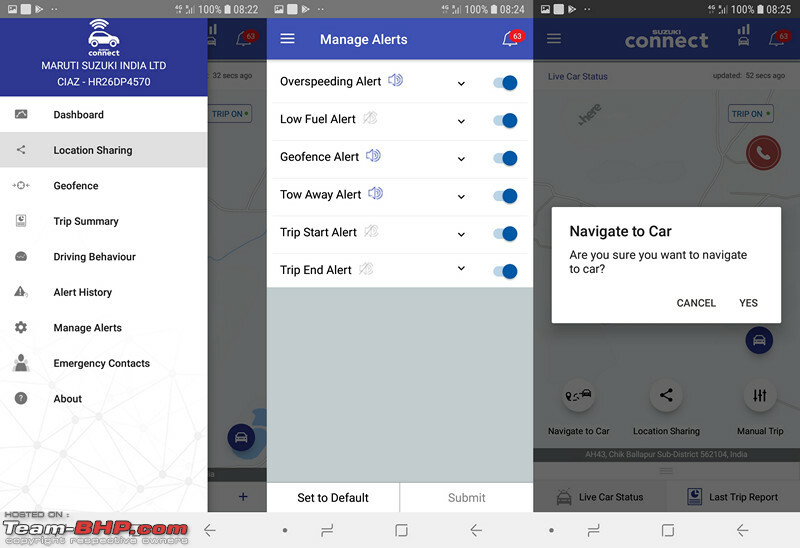 The HEARTECT platform series of new launches is now a worrying factor for me and I don't expect miracles if a test is carried out on the Ciaz. Last edited by paragsachania : 10th October 2018 at 12:21. 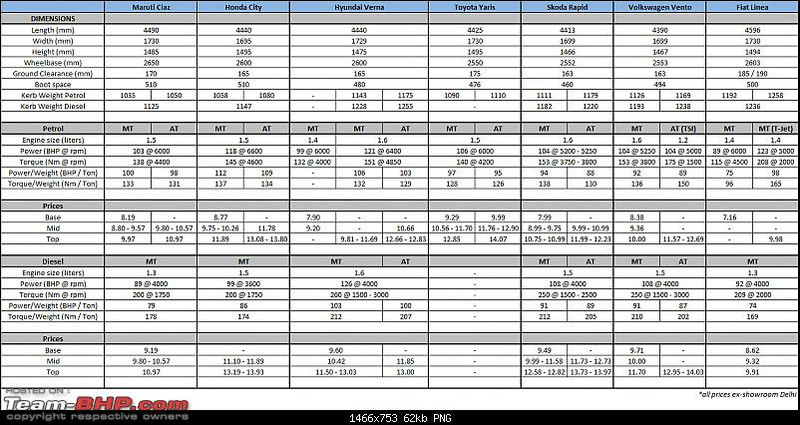 The pricing is fantastic , the Aplha petrol would be ~ 11.5 lacs on road and that is excellent VFM considering one gets a full blown sedan. 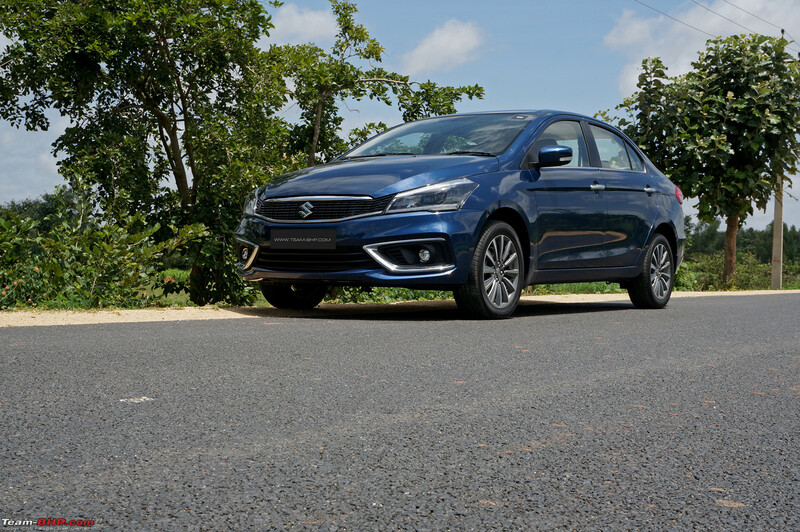 With 1.6 ltr motor the Ciaz would lose excise benefit and pricing under 10 lacs as they've done now wouldn't have been possible. With the current pricing they can still price the Alpha+ below the Verna SX (O) & City VX (No MT in ZX). It'd be an added advantage to Ciaz since both Verna & Ciaz don't offer ESP, TC & Hill hold and the City VX doesn't get 6 airbags. 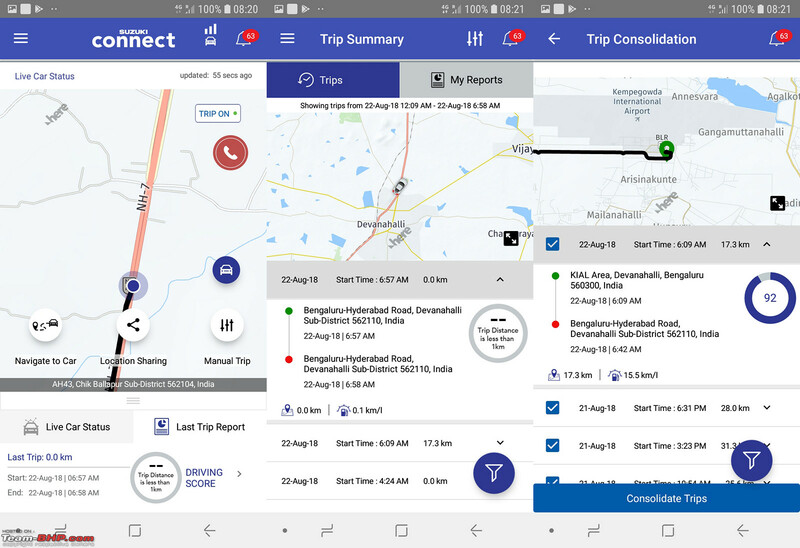 Last edited by Karthik Chandra : 10th October 2018 at 12:38. Last edited by Karthik Chandra : 10th October 2018 at 12:35.